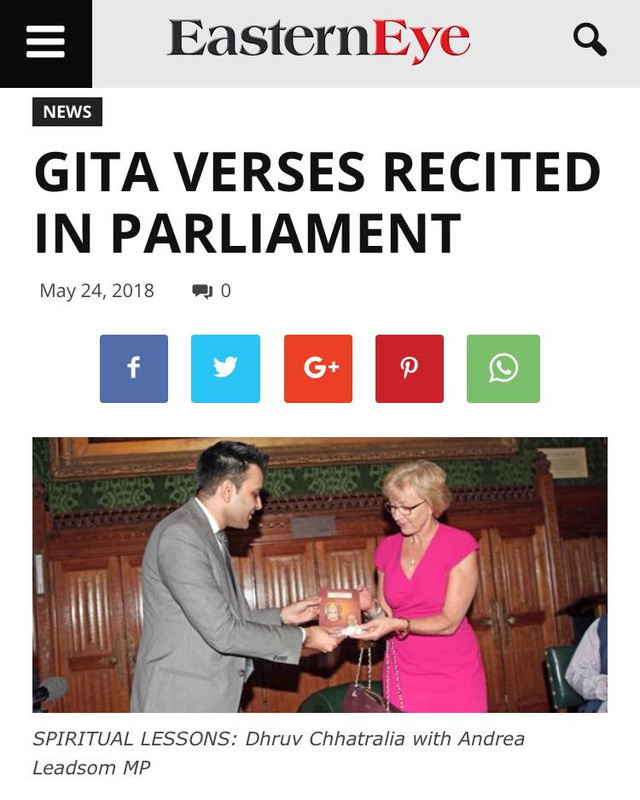 2 January 2018 - Article in the Asian Voice newspaper on the first ever recital of the Bhagavad Gita in history at the British Parliament by Dhruv Bhai. 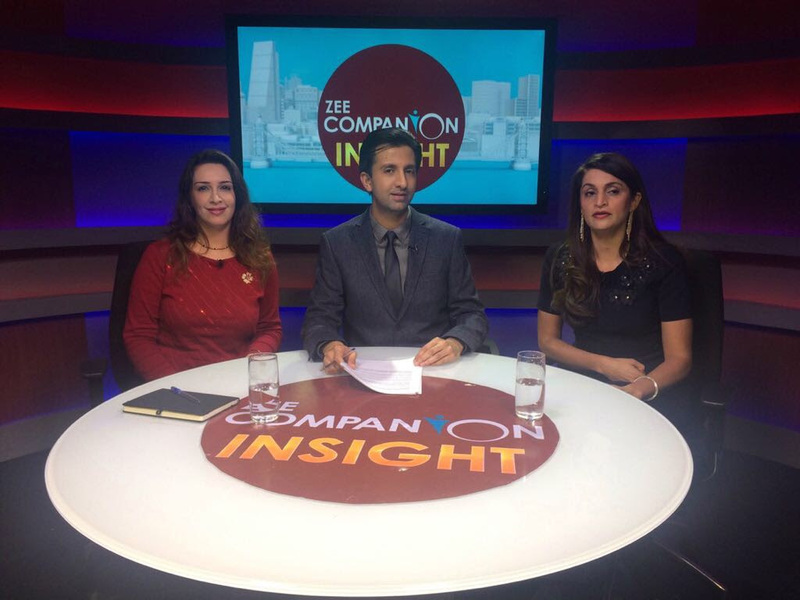 2 January 2018 - Saloni Ben makes her third appearance on Zee TV to discuss spirituality and current world affairs. 2 February 2018 - We celebrated the five year anniversary of the historic day when Dhruv Bhai completed writing the longest commentary of the Bhagavad Gita and Hanuman Chalisa in history. 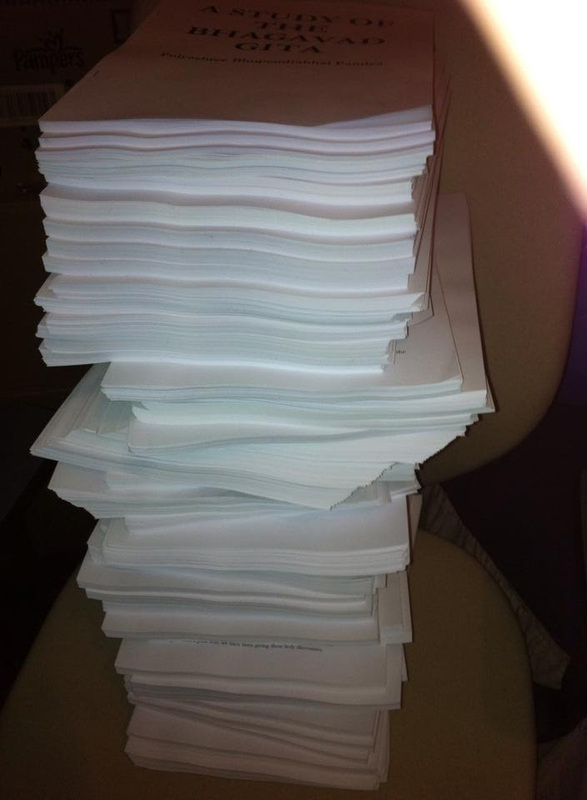 In total the length of the commentary is 3,321 pages, over 1.6 million words and over 9.6 million characters. 7 February 2018 - We celebrated the two year anniversary of Dhruv Bhai completing his 20th and 21st books including the longest commentary on the Shree Suktam in history and the Symbolism of Hindu Goddesses and Gods. 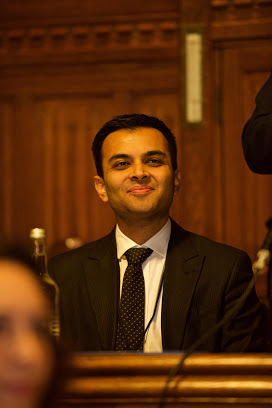 After five years of writing, Dhruv Bhai completed writing 21 books on the Bhagavad Gita, Hanuman Chalisa, Shree Suktam and the Symbolism of Hindu Goddesses and Gods consisting of 3,467 pages, over 2.4 million words and over 10.5 million characters between them. 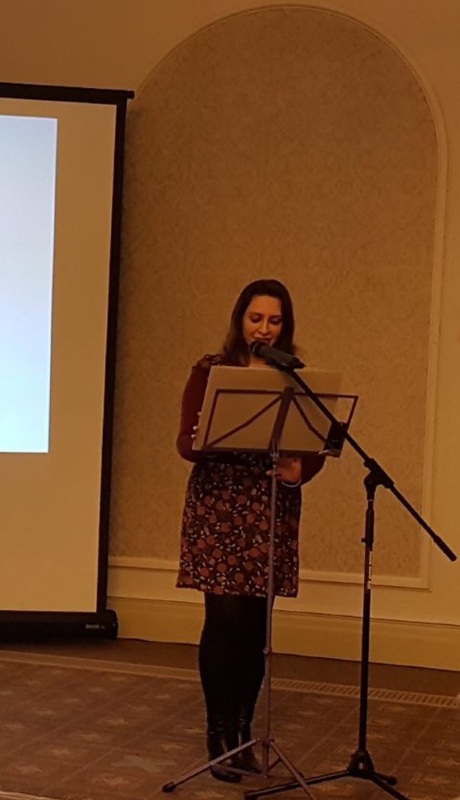 23 February 2018 - Saloni Ben speaks in front of students of Oxford University alongside internationally renowned author and speaker Rajiv Malhotra. 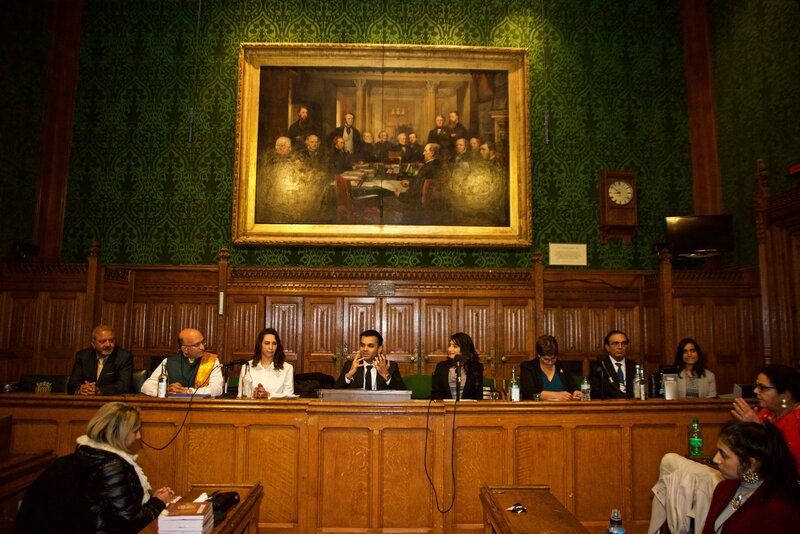 27 February 2018 - Dhruv Bhai invited to speak at the British Parliament on the life and teachings of Satguru Ram Singh at an event to celebrate the Bicentennial Prakash Utsav (200th holy birth anniversary) of Satguru Ram Singh. 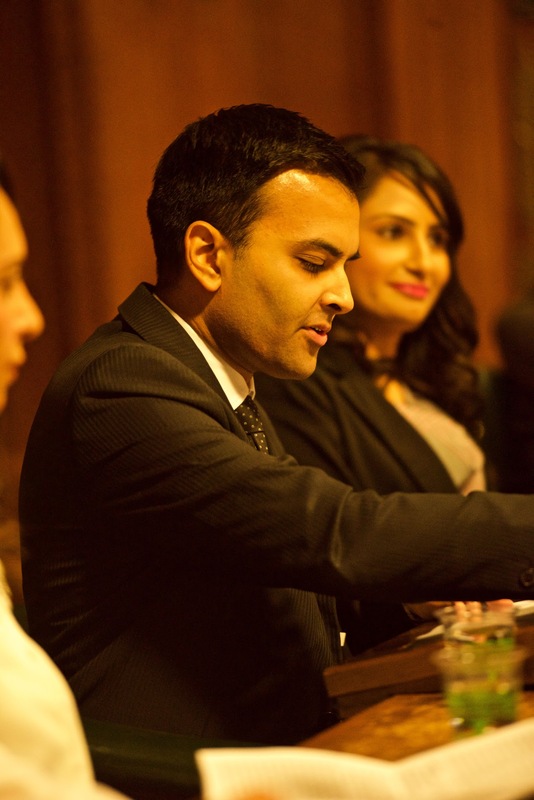 9 March 2018 - Dhruv Bhai becomes the first person in history to recite the Ramayan and the Mahabharat to the Metropolitan Police at New Scotland Yard. 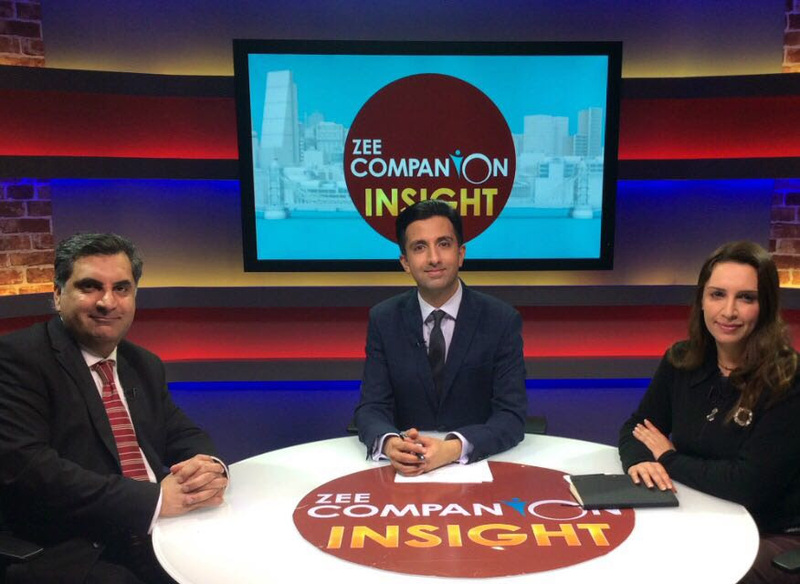 27 March 2018 - Saloni Ben makes her fourth appearance on Zee TV to discuss spirituality and current world affairs. 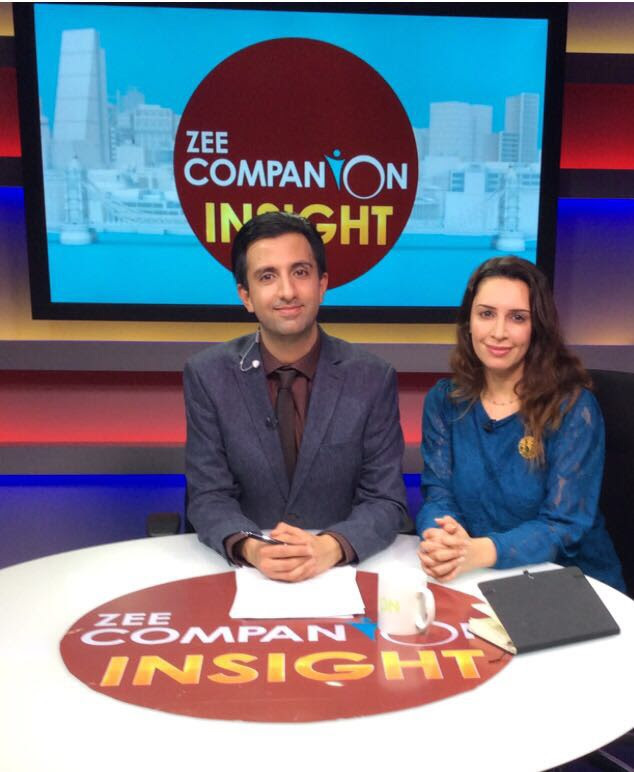 9 April 2018 - Saloni Ben makes her fifth appearance on Zee TV to discuss spirituality and current world affairs. 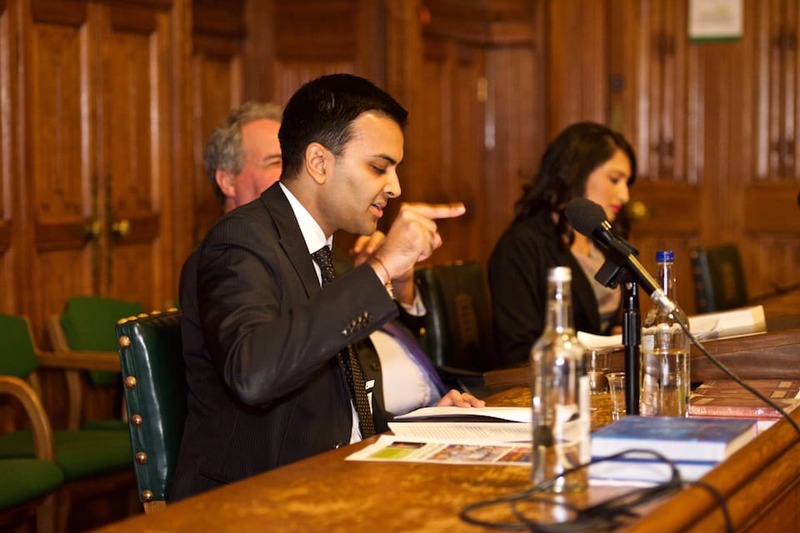 8 May 2018 - Dhruv Bhai became the first person in history to give a talk on the life of ShreeKrushna as described in the Shrimad Bhagavat at the British Parliament at an event to celebrate Dhruv Bhai's 300th talk and SHYAM’s seventh birthday celebrations. 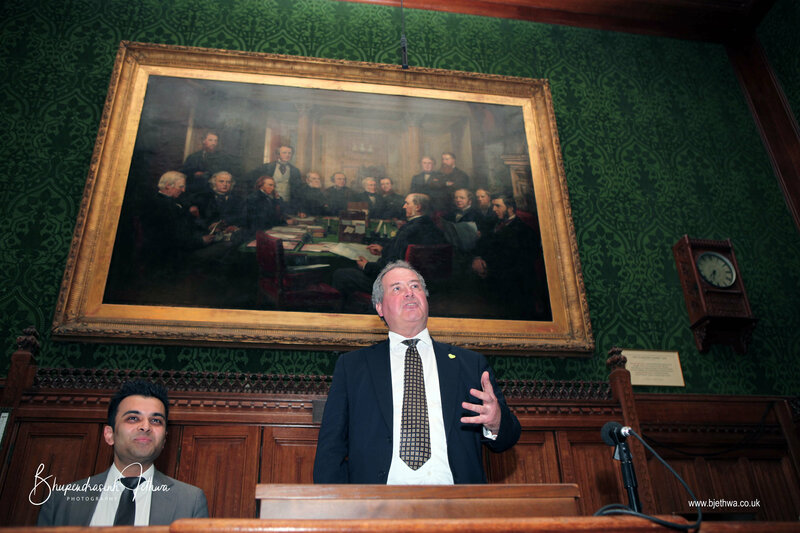 8 May 2018 - The event was hosted by Bob Blackman MP and was attended by Andrea Leadsom MP (the Leader of the House of Commons and the Lord President of the Council), Neil O’Brien MP, the presidents or chairpersons of over 30 national Indian organisations and community leaders from eight different religious backgrounds. 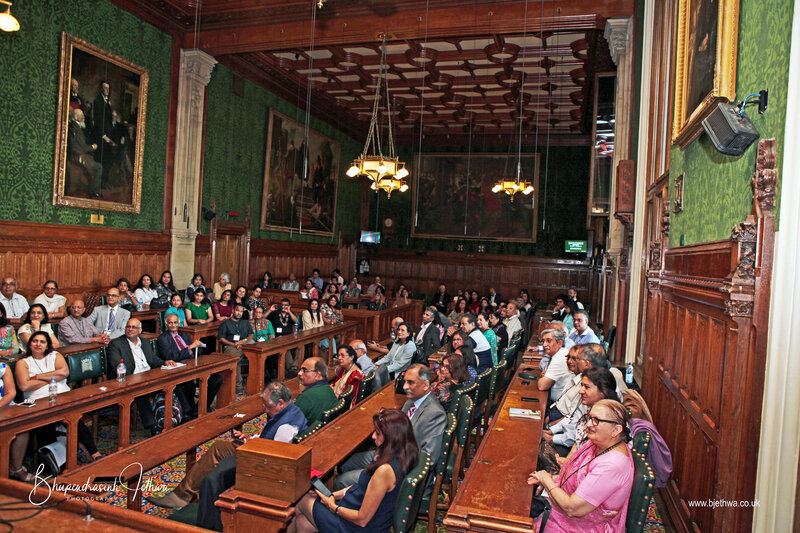 8 May 2018 - There were 300 registered attendees and over 200 people on the waiting list for the event, such was the demand behind and popularity of this historic talk and to learning from the depth of Dhruv Bhai's wisdom on the Shrimad Bhagavat based on the teachings by His Holiness Pujyashree Bhupendrabhai Pandya. 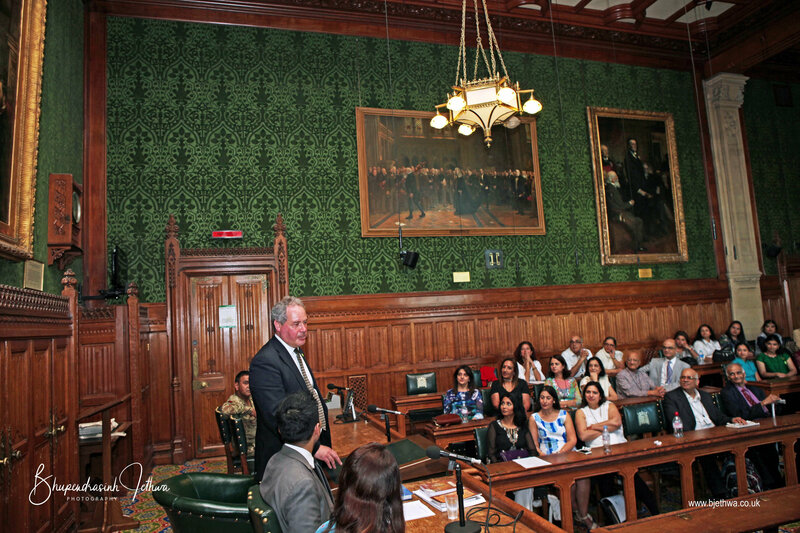 8 May 2018 - The event began with an inspirational opening speech by Bob Blackman MP, who spoke about the historical significance of the 300th talk and the importance of the Hindu community uniting to protect, preserve and promote values that have been passed on from generation to generation. 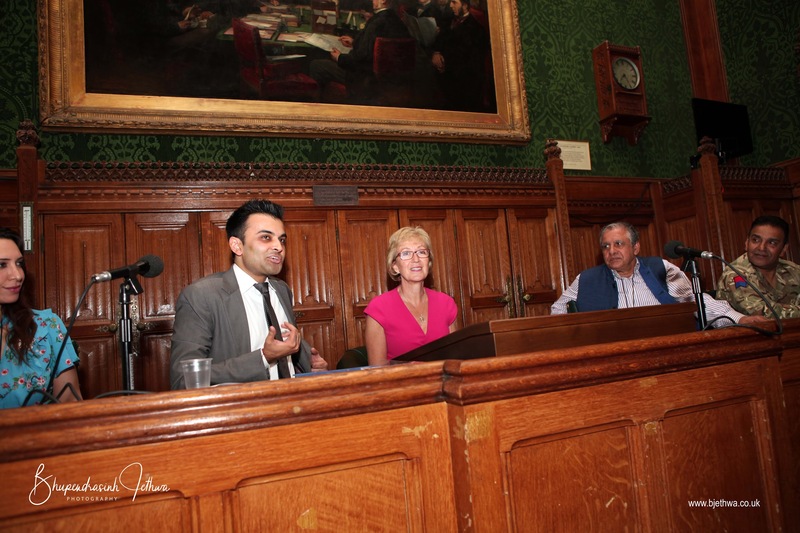 8 May 2018 - Andrea Leadsom MP, Leader of the House of Commons and Lord President of the Council, spoke about the importance of promoting spiritual values from the life of ShreeKrushna at the British Parliament and how the timeless teachings of this sacred scripture show us how to apply spiritual values and principles in our lives. 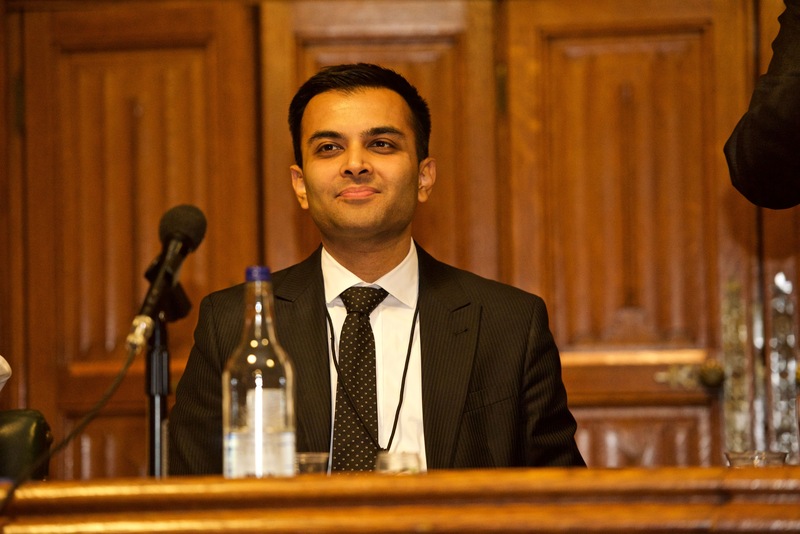 8 May 2018 - Dhruv Bhai gave a powerful and mesmerising recital of the life of ShreeKrushna as described in the tenth book of the Shrimad Bhagavatam. 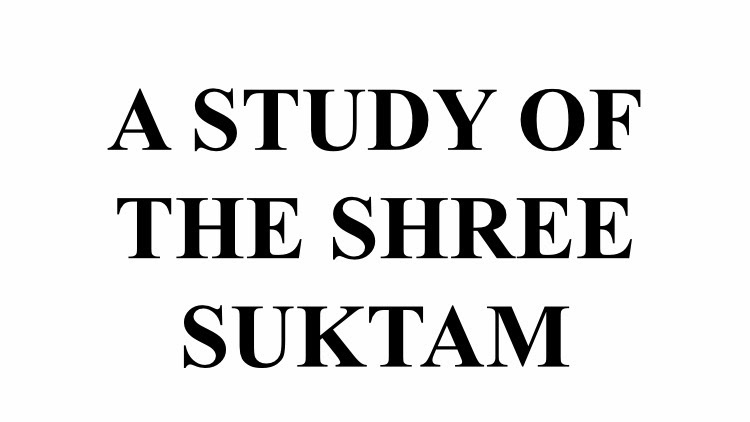 The speech of two and a half hours covering an in-depth commentary of the tenth book of the Shrimad Bhavatam from beginning to end, was put together to create the inner transformation that would take people closer to ShreeKrushna through this most secret Yogic wisdom. 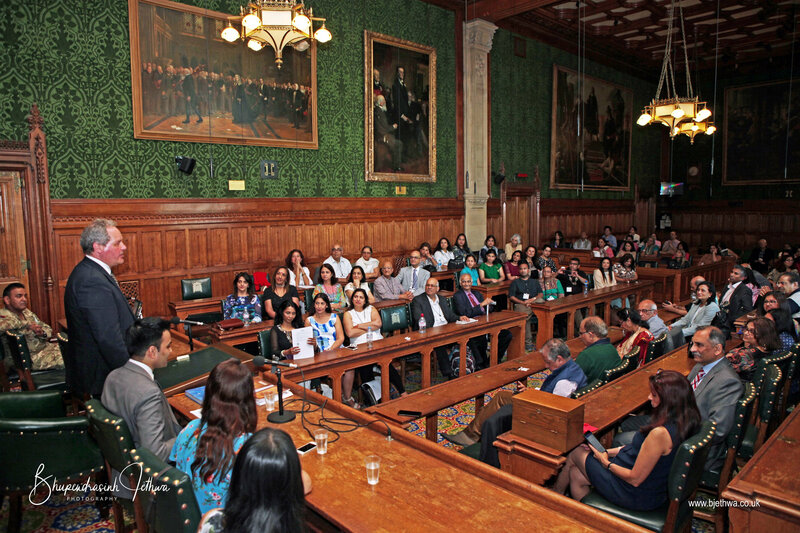 8 May 2018 - The beautiful and inspirational talk explored the early life of Shree Krishna, who incarnated as the personification of the Supreme Being, and looked at the inherent message that Shree Krishna was trying to convey to mankind. 8 May 2018 - The talk took the audience on a journey towards enlightenment by comprehending the underlying meanings of the acts of Shree Krishna based on the teachings of His Holiness Pujyashree Bhupendrabhai Pandya. 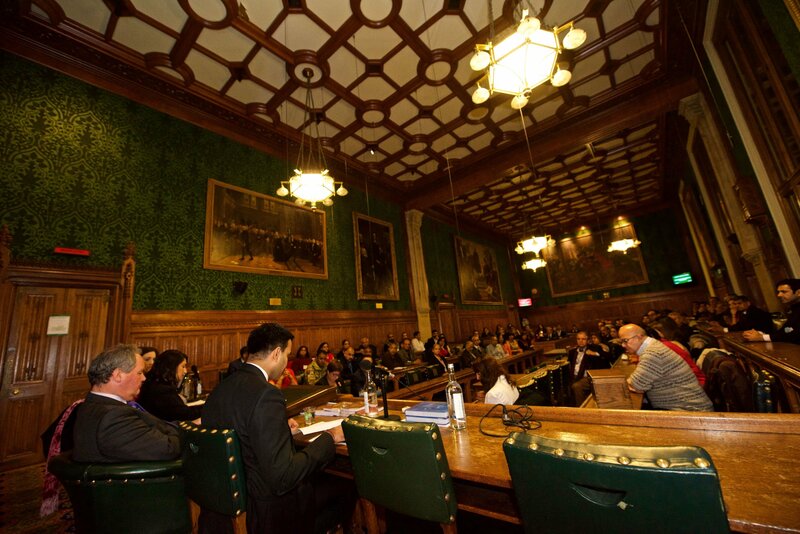 The audience members were mesmerised and moved the tears by the beautiful descriptions of ShreeKrushna’s Leelas (Divine Acts). 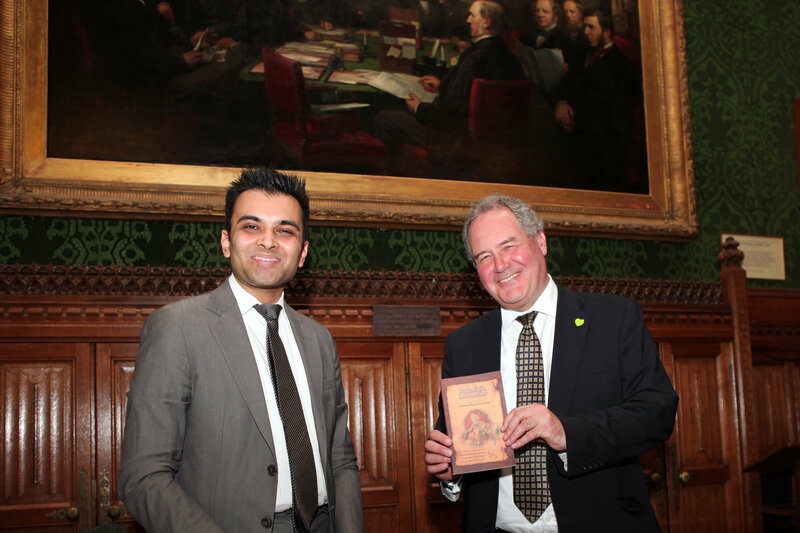 8 May 2018 - Bob Blackman MP launched the book "Rukhmini’s Love Letter" by Pujyashree Bhupendrabhai Pandya and was presented with the book by Dhruv Bhai. 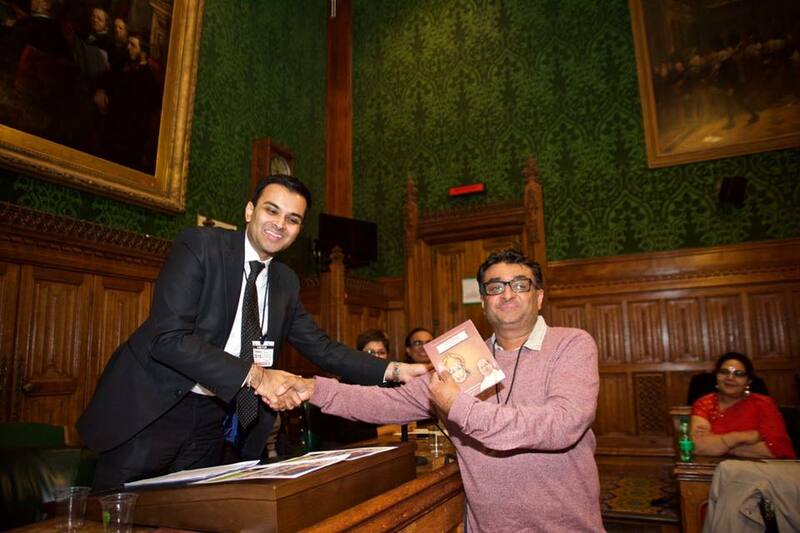 8 May 2018 - Dhruv Bhai then presented Andrea Leadsom with a copy of the book “Hanuman: an ocean of wisdom and virtues” by His Holiness Pujyashree Bhupendrabhai Pandya. 8 May 2018 - Dhruv Bhai closed the event by saying "I bow down to ShreeKrushna who has showered us with His divine blessings throughout this epic journey of 300 talks where we have made history many times over, to Pujayshree Guruji for giving me the wisdom to inspire our devotees on the auspicious occassion of the seventh birthday of SHYAM, to my parents whose upbringing and sacrifices have made me everything I am today, and to each of you for your whole-hearted support, devotion and belief towards the cause of SHYAM over these 300 talks in seven years. 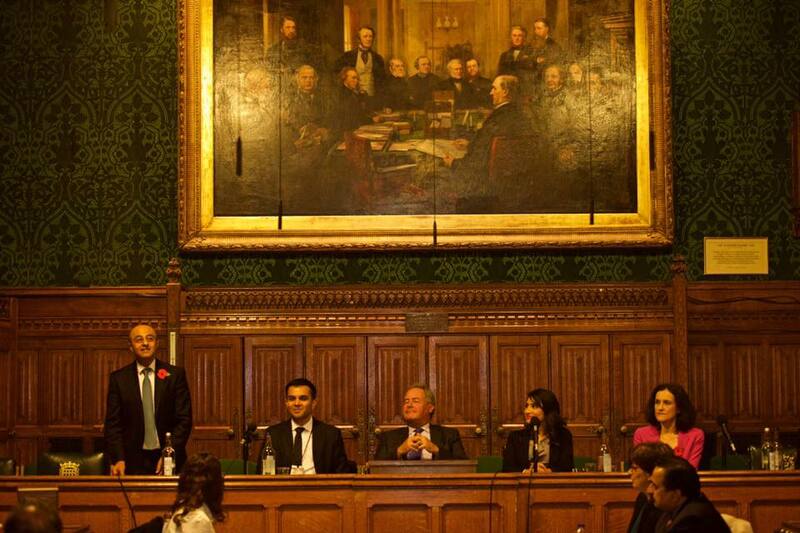 We have achieved so much beyond everyone's expectations and yet have much more to do. 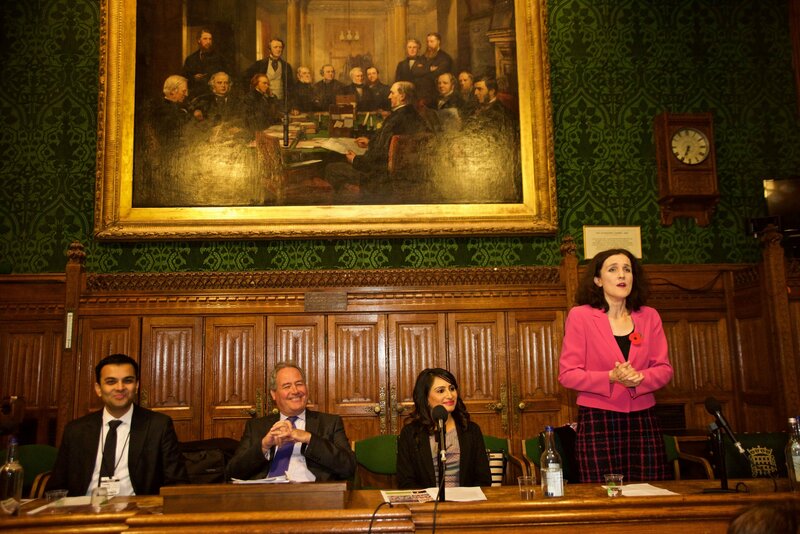 We have many more educational talks and social media posts lined up this year and beyond. Here's to a great future ahead! May Shreekrushna bless you all! Jai ShreeKrushna!" 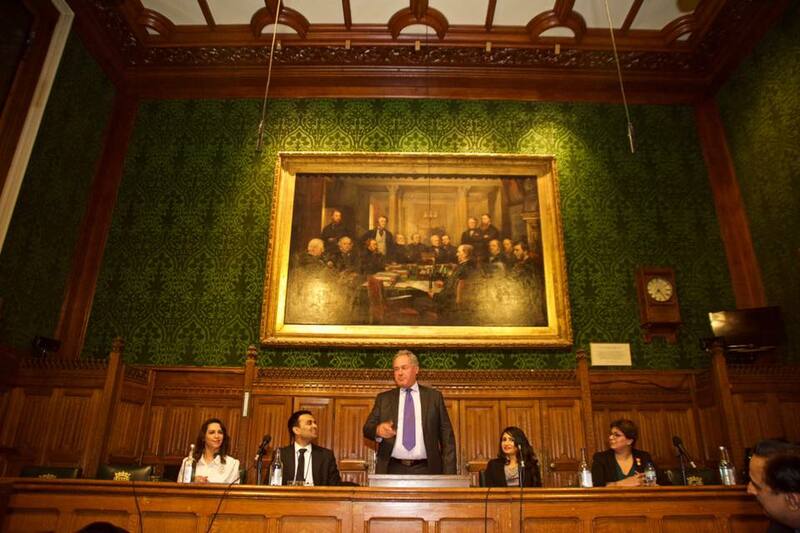 8 May 2018 - The photos from the event were taken by the talented and gifted photographer Bhupendrasinh Jethwa. 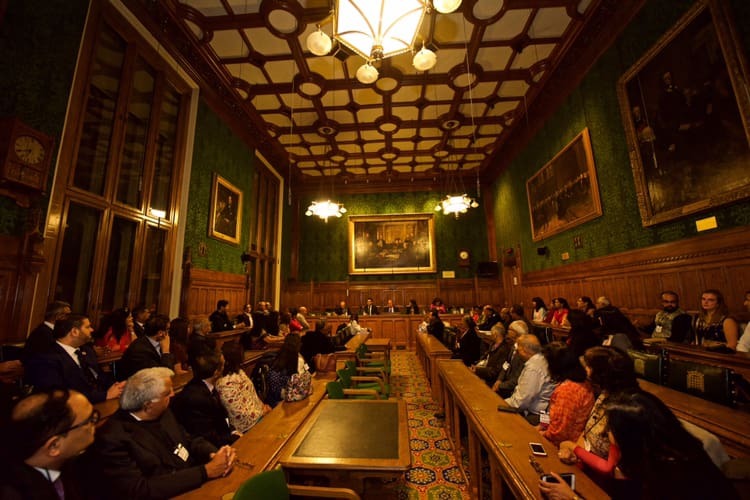 8 May 2018 - This highly emotional, devotional and electrifying evening was unprecedented because of its historical and spiritual significance, the platform given to the Shrimad Bhagavat by British Parliament MPs, the fact that Hindu community leaders and community leaders from eight different religious backgrounds united as one group on this historical event, the quality of the recital of the life of ShreeKrushna which touched the hearts of all, the amount of interest generated in the event with over 300 people registered and 200 people on the waiting list, the hundreds of messages of excellent feedback received and the fact that it was a celebration of an epic seven year journey of the organisation SHYAM, which has now given over 300 spiritual talks since it was founded, provided teaching materials for hundreds of Hindu and Yoga organisations and has won countless awards for its achievements. 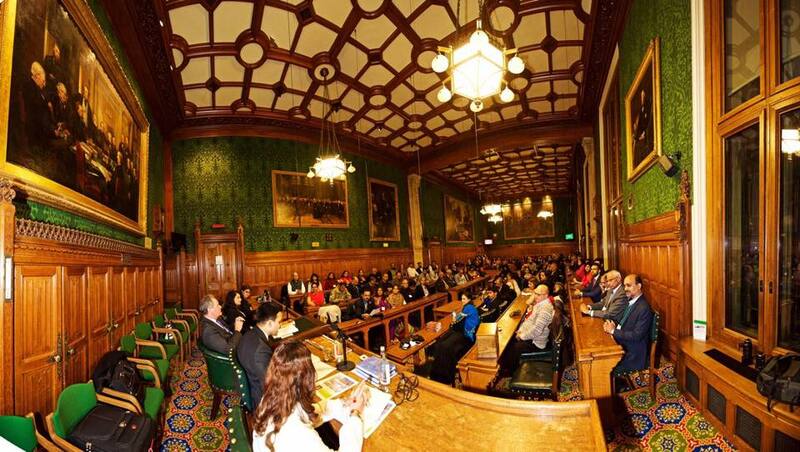 24 May 2018 - The Eastern Eye newspaper published an article on Dhruv Bhai's historic 300th talk and the first ever talk on the life of ShreeKrushna at the British Parliament. 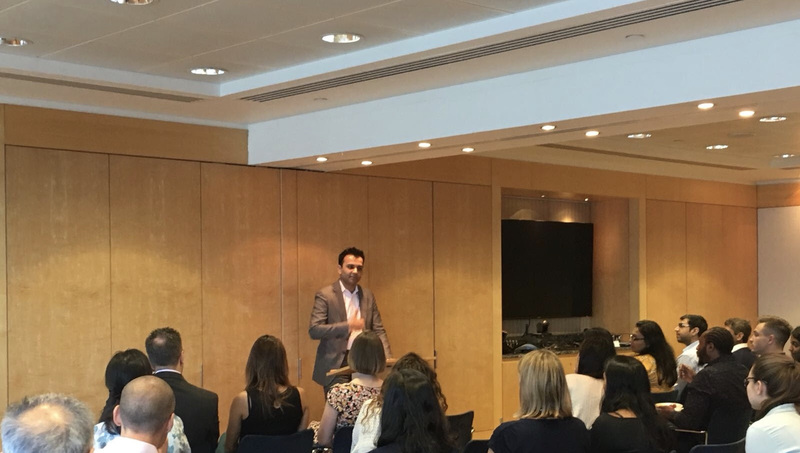 22 June 2018 - Dhruv Bhai gives a talk on the Secrets of Yoga, Meditation and the Hindu Connection to the employees of Schroders. 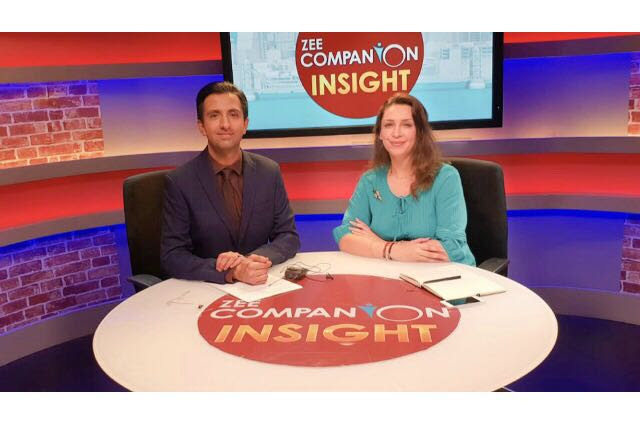 26 June 2018 - Saloni Ben makes her sixth appearance on Zee TV to discuss spirituality and current world affairs. 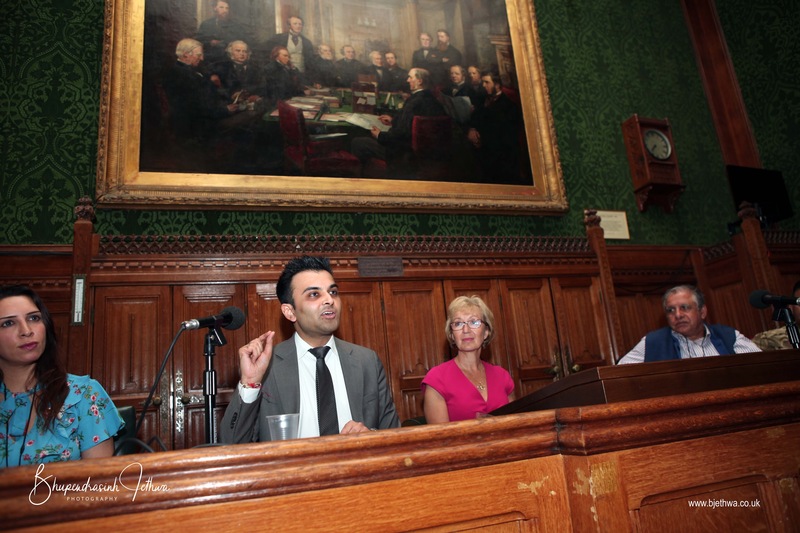 15 July 2018 - Celebrating seven years since our first Dharmic talk in the City given by Dhruv Bhai. 21 July 2018 - Celebrating the three year anniversary of the launch of the Gita Gnyan Maha Yagna on social media where Dhruv Bhai, Saloni Ben and Riddhi Ben have been sharing verses of the Bhagavad Gita, Hanuman Chalisa and Shree Suktam every day on our facebook page and whatsapp groups. 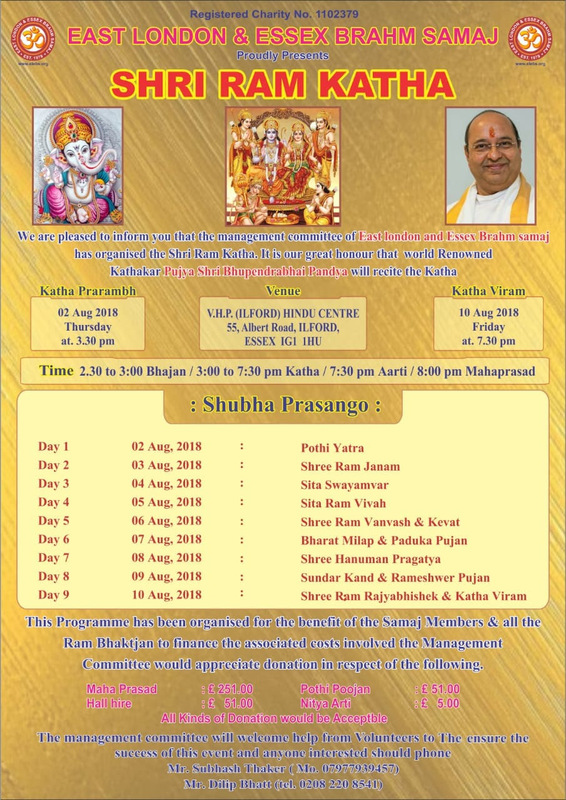 2 August 2018 - Pujyashree Bhupendrabhai Pandya began the Shree Ram Katha in the UK. 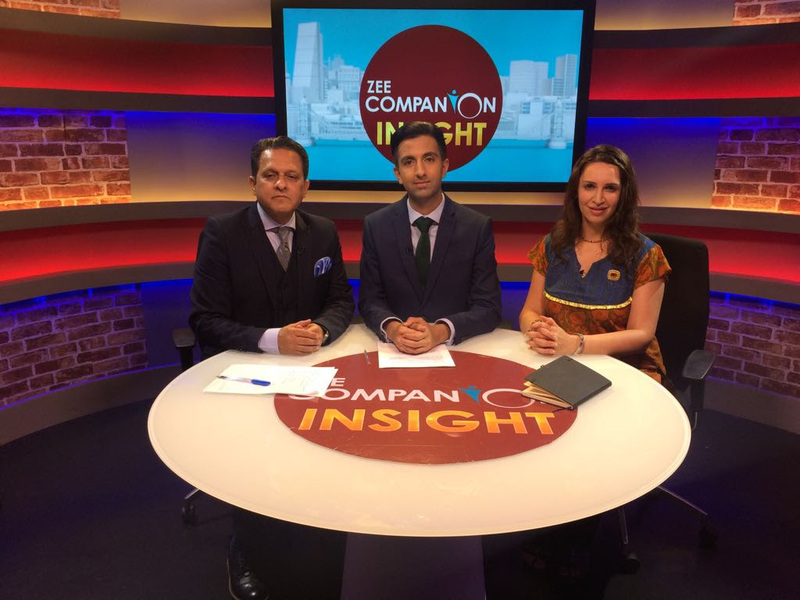 14 August 2018 - Saloni Ben makes her seventh appearance on Zee TV to discuss spirituality and current world affairs. 25 August 2018 - Interview of Dhruv Bhai entitled "Reintroducing Indian Spirituality" published in the Asian Voice newspaper. 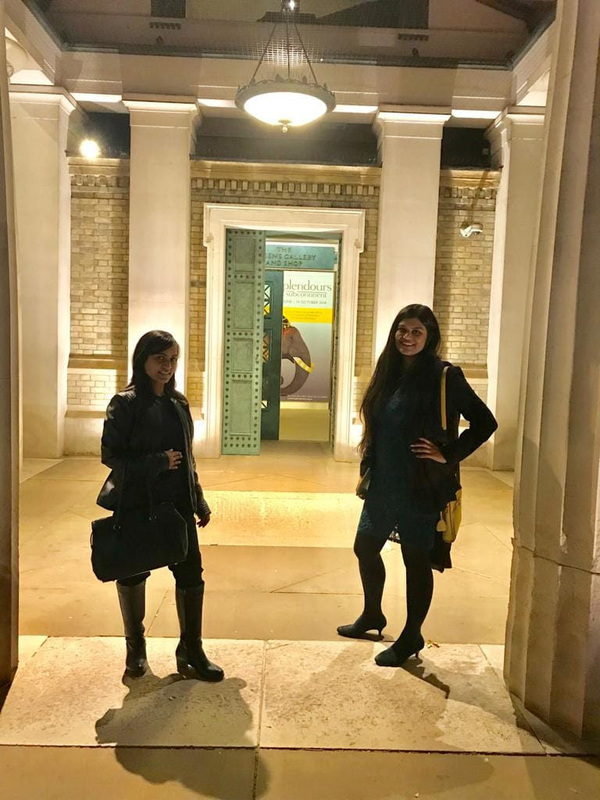 26 September 2018 - Riddhi Ben and Namrata Ben invited to represent SHYAM at Buckingham Palace. 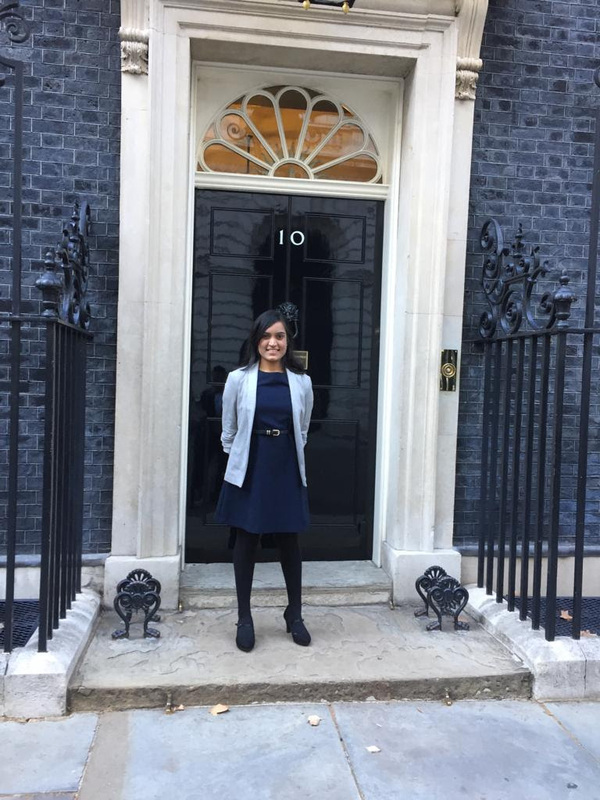 27 September 2018 - Riddhi Ben invited to 10 Downing Street to speak about the vision and activities of SHYAM. 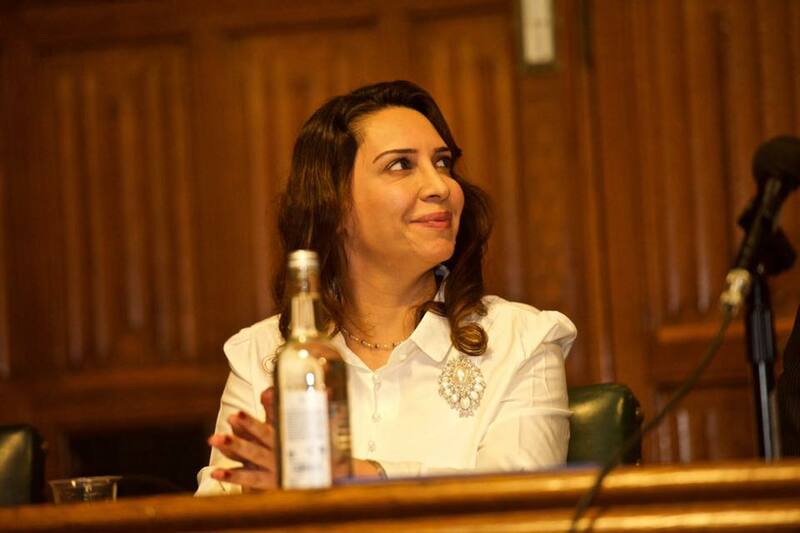 9 October 2018 - Saloni Ben made her eighth appearance on Zee TV to discuss spirituality and current world affairs. 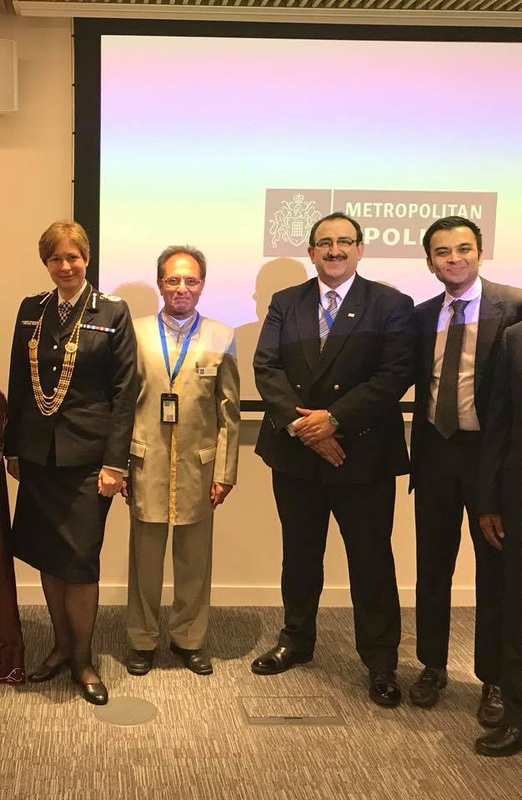 19 October 2018 - Dhruv Bhai gave a talk to the Metropolitan Police at the Empress State Building about the symbolism of ShreeKrushna. 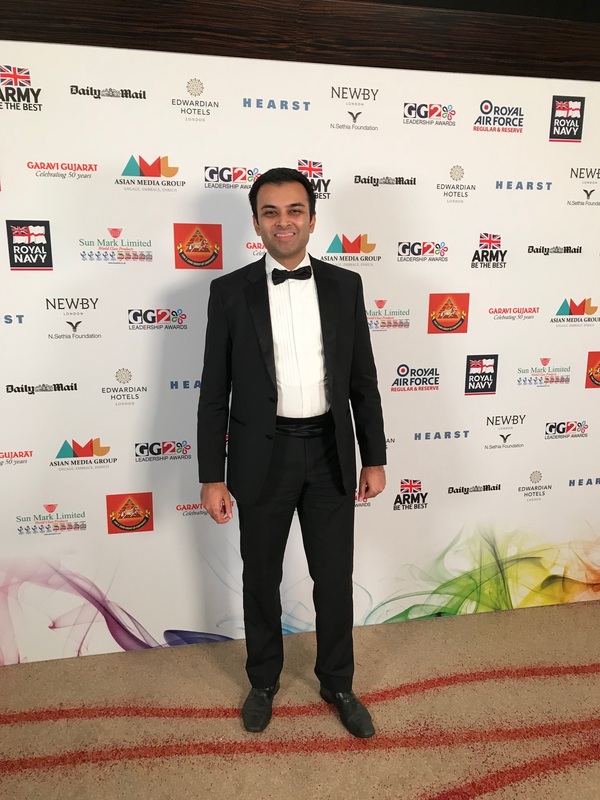 24 October 2018 - Dhruv Bhai invited to the GG2 Leadership Awards. 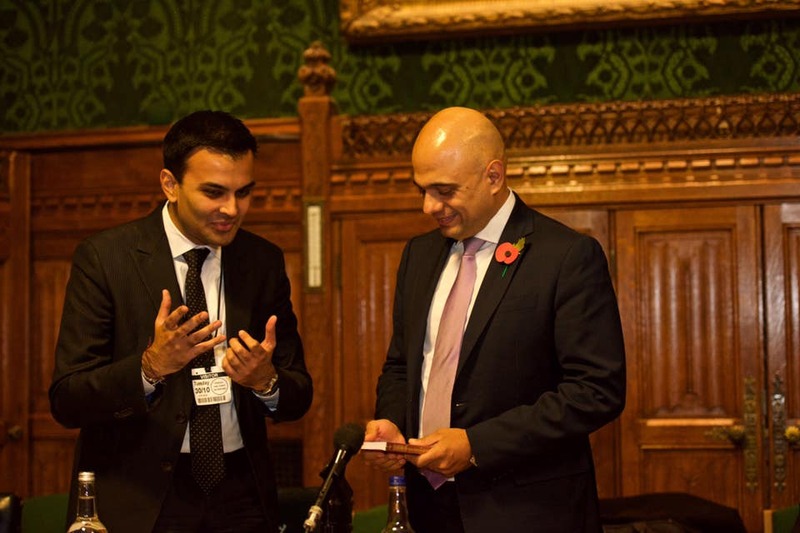 24 October 2018 - Dhruv Bhai meets Gareth Thomas MP. 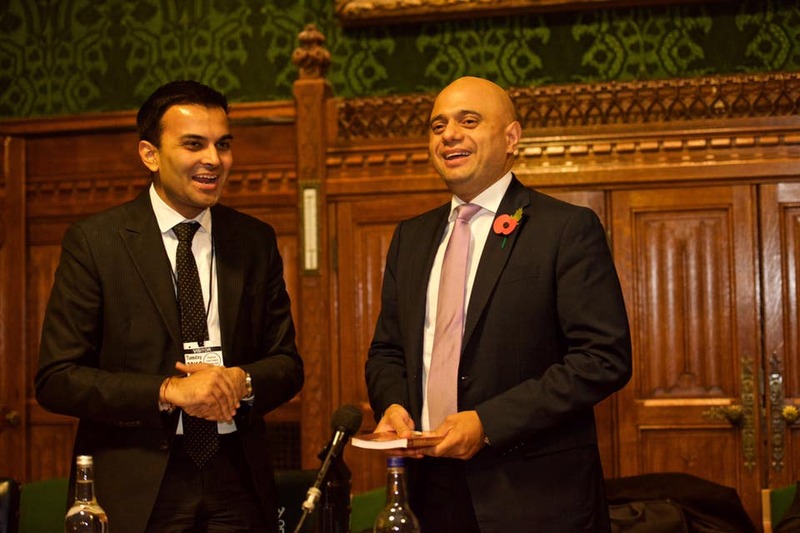 24 October 2018 - Dhruv Bhai meets UK Home Minister Sajid Javid MP. 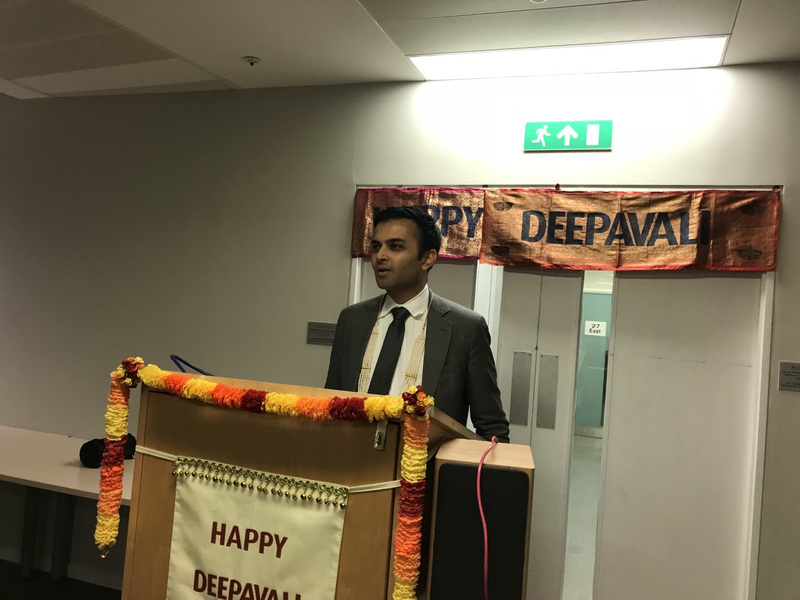 27 October 2018 - Dhruv Bhai spoke on the spiritual meaning of Diwali at the Croydon Diwali Carnival and Mela. 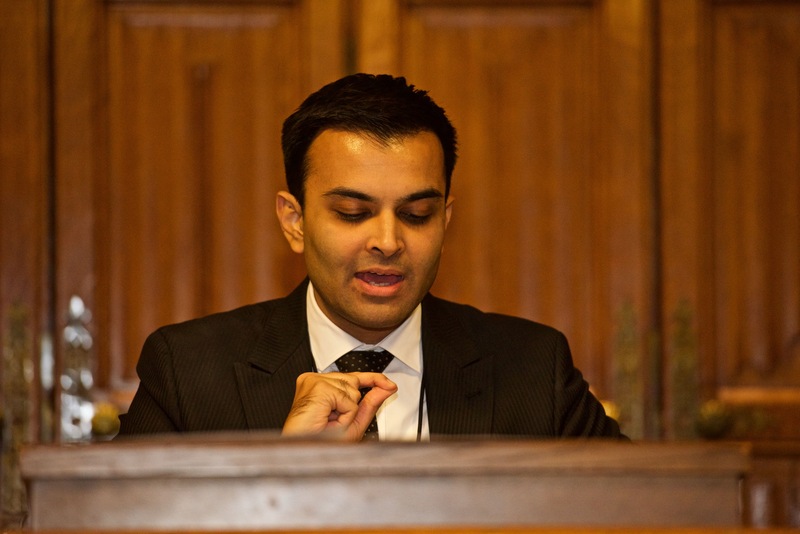 28 October 2018 - Dhruv Bhai spoke on the Hanuman Chalisa at the Diwali in Trafalgar Square celebrations. 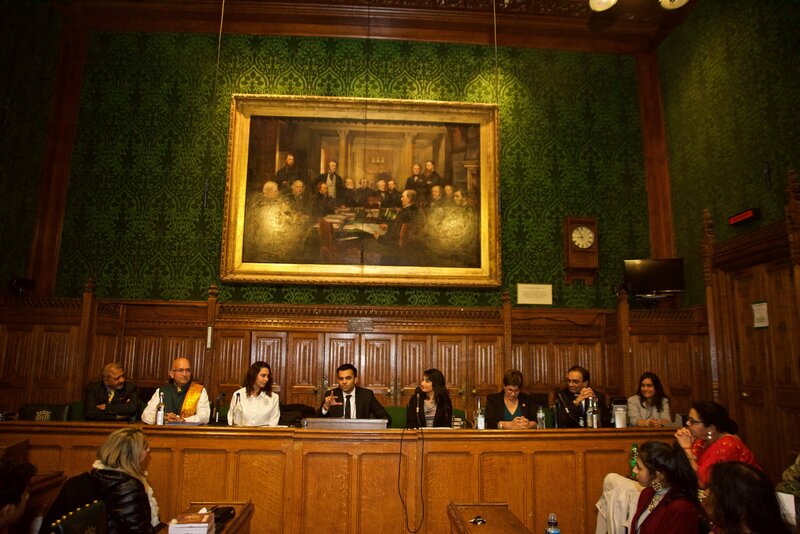 30 October 2018 - Nine of SHYAM's speakers, photographers and volunteers made history by completing a historic three-year Maha Gnyan Yagna of the Shree Suktam of the Rig Veda at the BritishParliament hosted by Bob Blackman MP and attended by UK Home Minister Sajid Javid MP, Lord Gadhia, Theresa Villiers MP and Baroness Neville-Rolfe and over 200 people including the chairpersons of over 35 national Indian organisations and community leaders from eight different religious backgrounds. 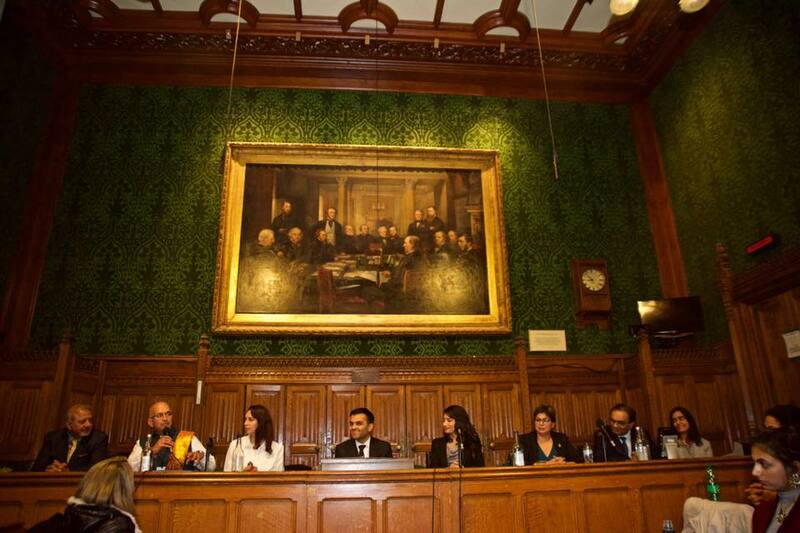 30 October 2018 - The event involved two hours of talks on 26 mantras of the Shree Suktam. 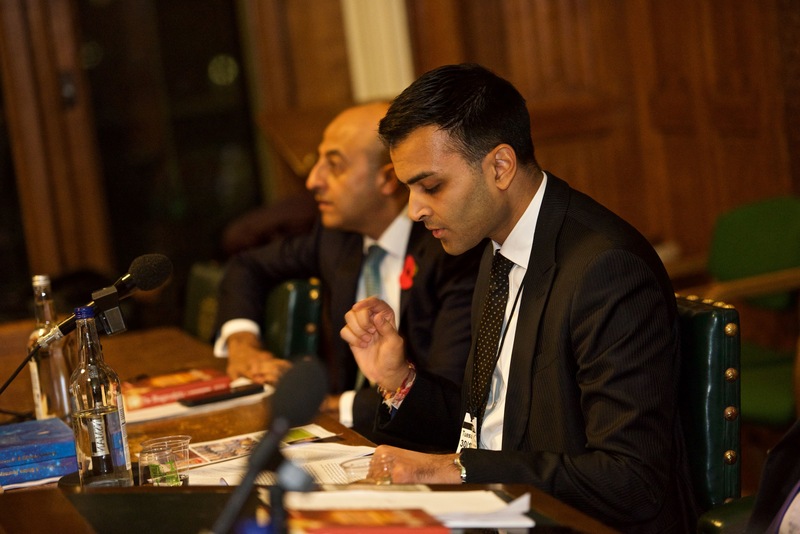 30 October 2018 - The proceedings began with a powerful recital and introduction to the Shree Suktam of the Rig Veda by Dhruv Bhai, who left the audience captivated by the beautiful mantras in devotion to Maa Lakshmi. 30 October 2018 - Dhruv Bhai explained how the Shree Suktam has been around for thousands of years and is a proven formula for the invitation, creation, preservation and cultivation of Maha Lakshmi (the Goddess of wealth). 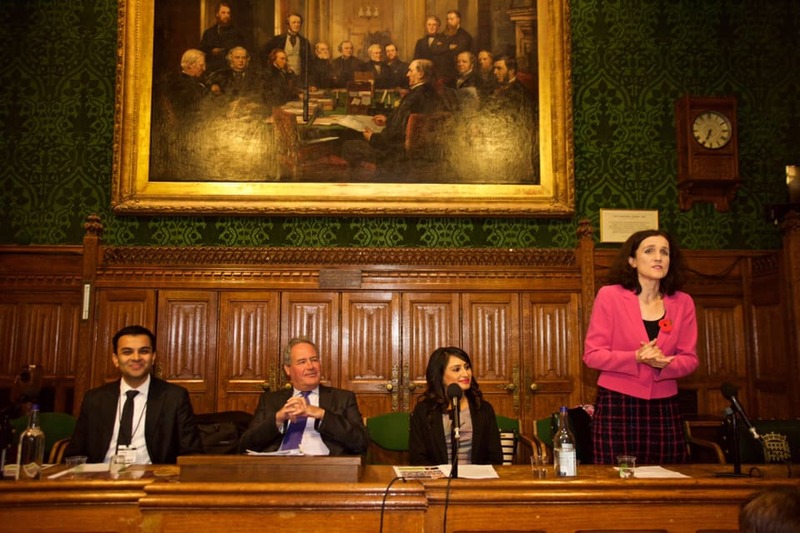 30 October 2018 - Theresa Villiers MP beautifully spoke about the role of the Indian community in the UK and how much it has contributed to British society and the British way of life. 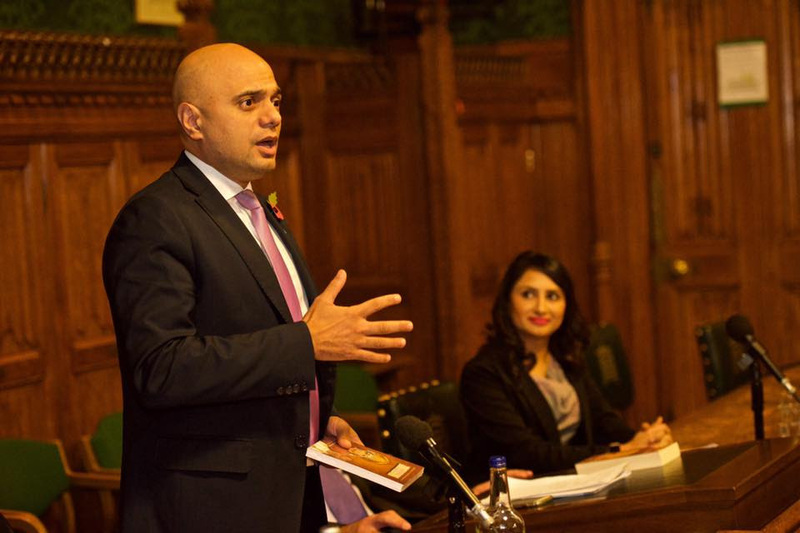 30 October 2018 - The UK Home Secretary Sajid Javid MP then excellently explained the importance of spreading spiritual teachings in society and how that works in creating bridges between different cultures. 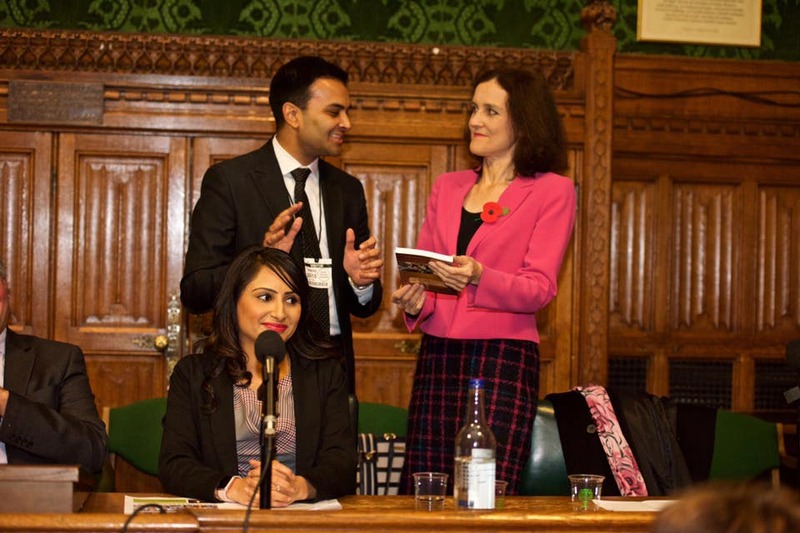 30 October 2018 - Dhruv Bhai presented Theresa Villiers MP with a copy of Pujyashree Guruji’s Hanuman Chalisa: An Ocean of Wisdom and Virtues book. 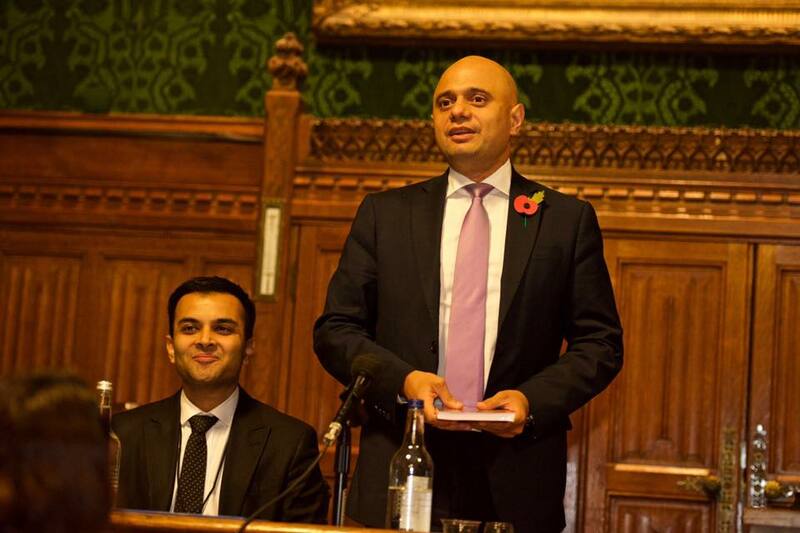 30 October 2018 - Dhruv Bhai presented UK Home Secretary Sajid Javid with a copy of Pujyashree Guruji’s Hanuman Chalisa: An Ocean of Wisdom and Virtues book. 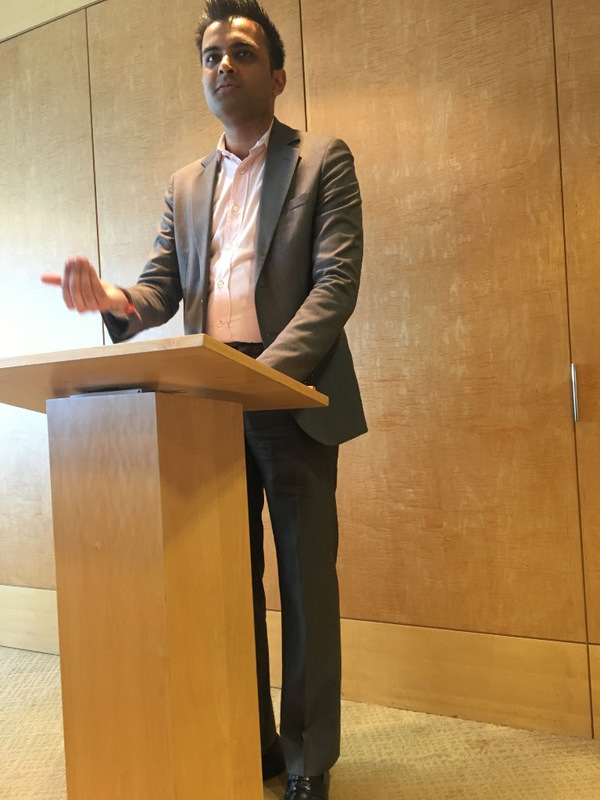 30 October 2018 - Dhruv Bhai beautifully explained the power behind Vedic mantras using profound examples from the life stories of Vidyaranya Swami and Goswami Tulasidas, and spoke about how we can learn from Vedic Rishis about the importance of there being truthfulness in our speech. 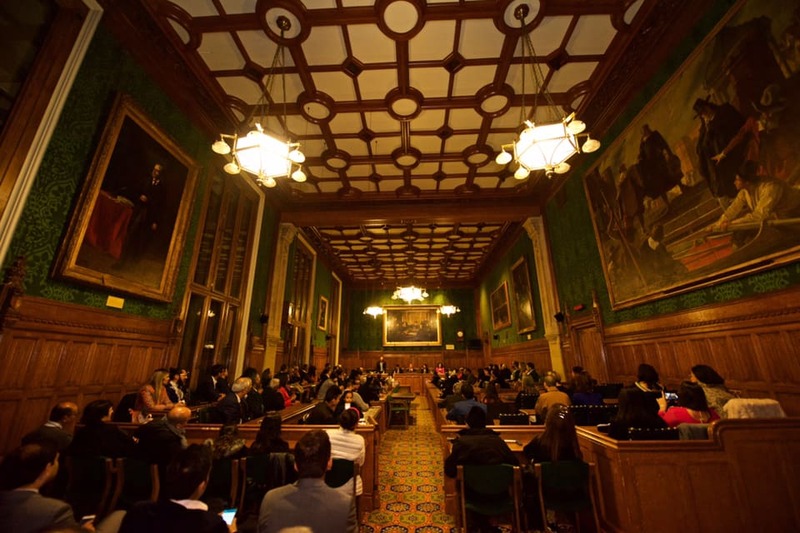 30 October 2018 - Lord Gadhia inspired the audience with a beautiful talk about the deep meaning behind the festival of Diwali that you can only transform the world if you transform individual human beings spiritually by awakening their light within. 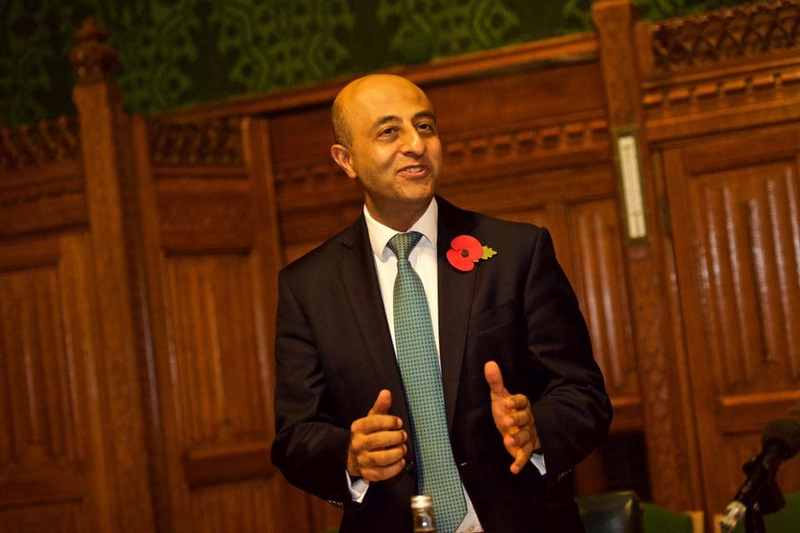 30 October 2018 - Lord Gadhia spoke about the massive contribution made by millions of Indian soldiers during the two World Wars and how important it is that we recognise the sacrifices of those who served, sacrificed and changed our world. 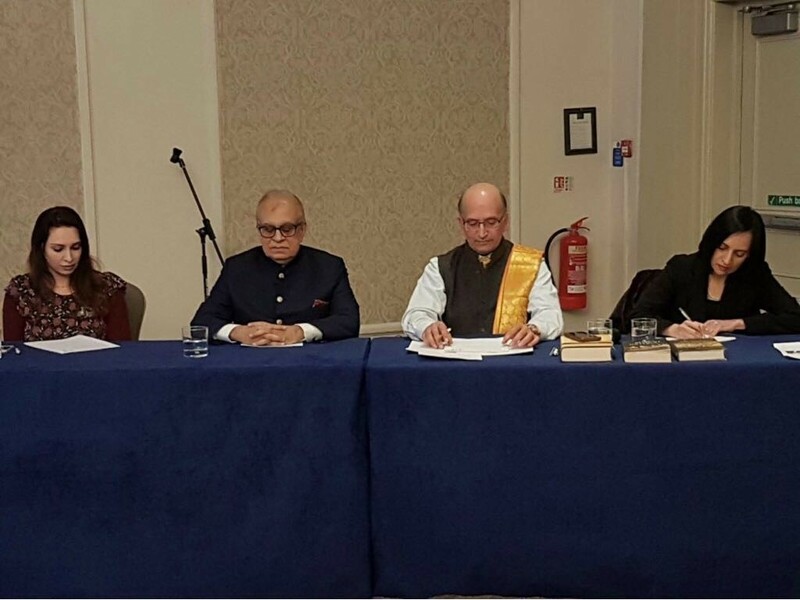 30 October 2018 - Dhruv Bhai presented Lord Gadhia with a translation of the Bhagavad Gita by Professor Radhakrishnan. 30 October 2018 - Dhruv Bhai spoke about the Yogic meaning behind the symbolism of the Shree Suktam and how it contains the secrets of success in Yoga practices. 30 October 2018 - Dhruv Bhai explained the meaning behind the Kadambari by Bhanbhatt which was spoken to the children of a king about how to maintain one's character in the presence of large amounts of wealth. He said that wealth is a large responsibility and this responsibility should be exercised with the right character to preserve and make good use of wealth. 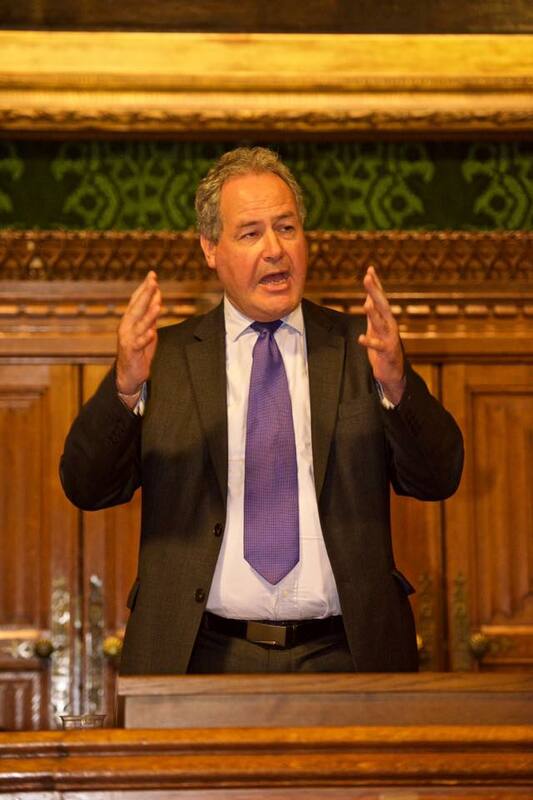 30 October 2018 - Bob Blackman MP gave an insightful speech about the importance of spreading the spiritual message of Diwali and what it means in contemporary times. 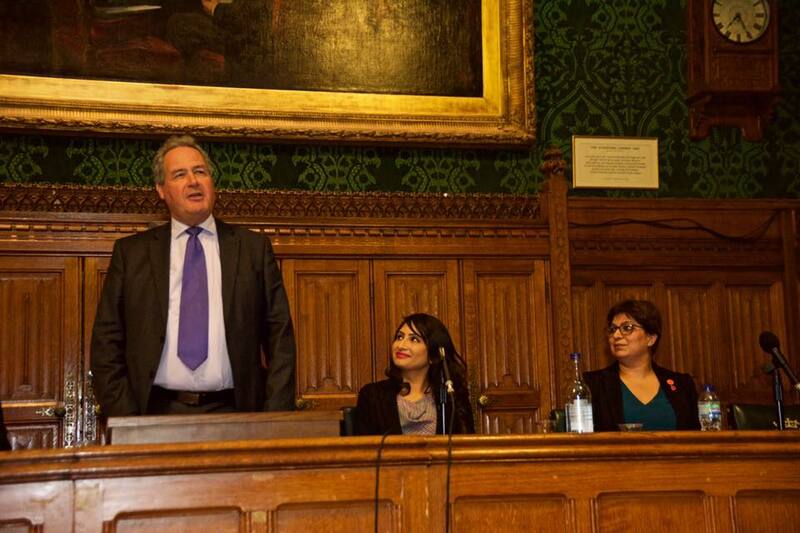 30 October 2018 - Bob Blackman spoke about his beautiful experiences of celebrating Diwali with many different Indian temples and communities across the UK, and how important it is that time-tested ancient yet modern cultural and spiritual values are preserved and protected in society. 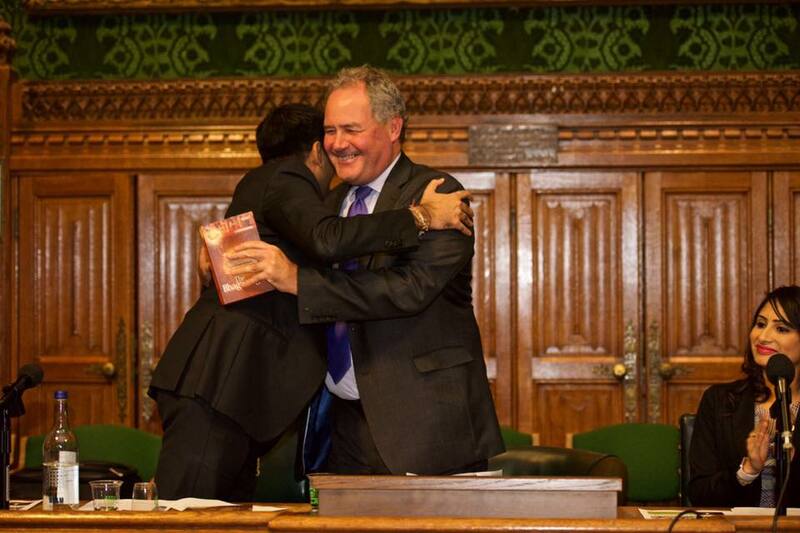 30 October 2018 - Dhruv Bhai presented Bob Blackman with a translation of the Bhagavad Gita by Professor Radhakrishnan. 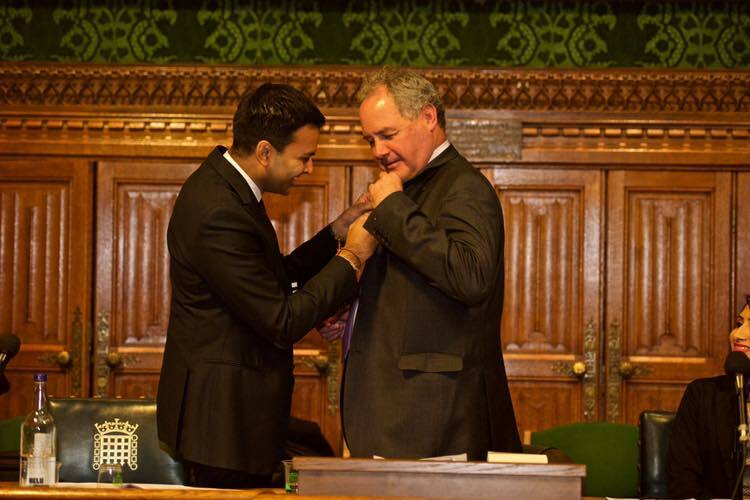 30 October 2018 - Dhruv Bhai adorned Bob Blackman MP with a Khadi poppy in honour of the Indian soldiers who fought during the two World Wars. 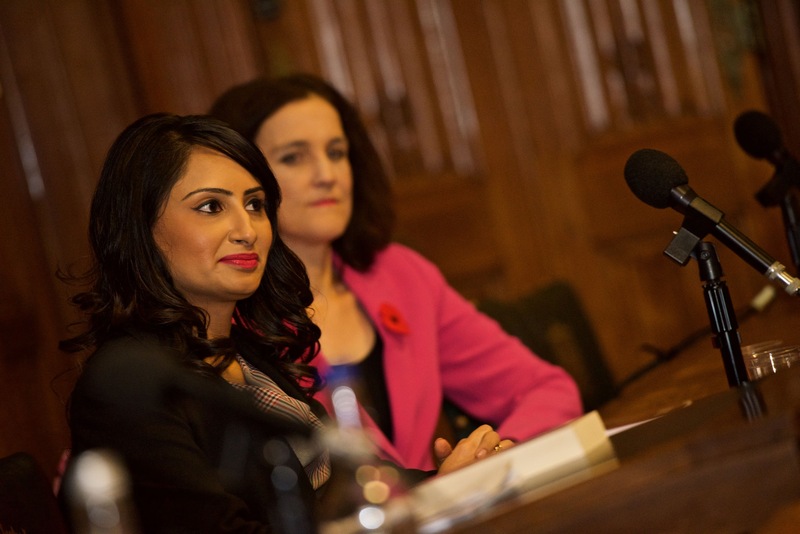 30 October 2018 - Rupal Ben insightfully explained the 70/30 rule of management about how human beings use only 30% of anything and waste 70%. She said that if someone uses even 10% of their potential then they will become a leader in their chosen field such an Einstein in science, so what to say of someone who uses 70% or even 100% of their potential. 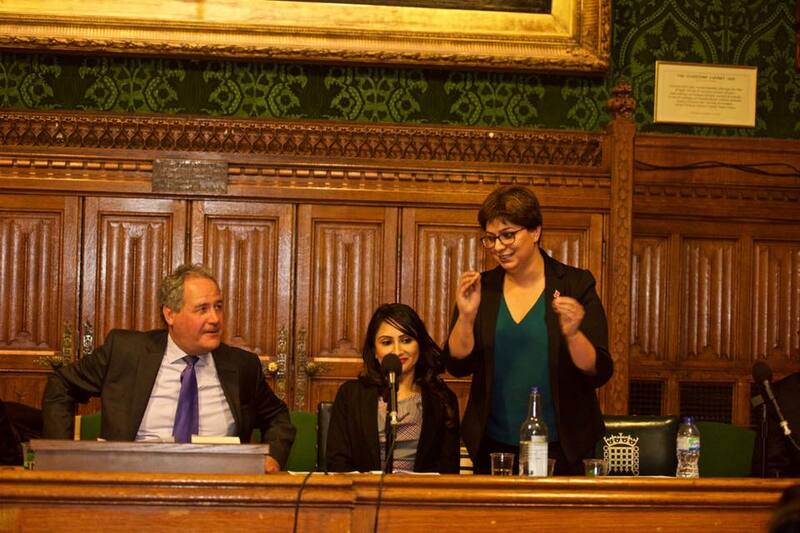 30 October 2018 - Saloni Ben powerfully cleared misconceptions by explaining that the juice of Soma as described in the Vedas is not alcohol. She said that Soma is a type of plant and its juice is a giver of energy and increases the energy of the body, the mind and the intellect. After drinking the juice of soma, a person's energy, focus, attention and concentration increases. 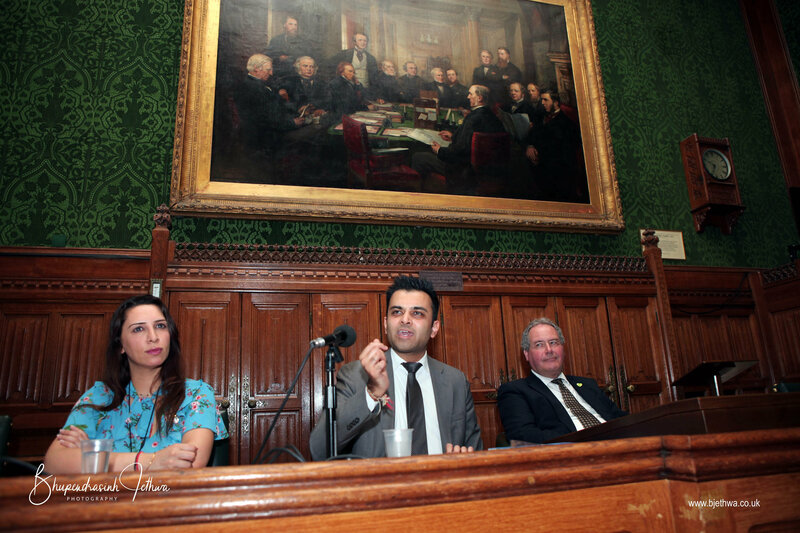 30 October 2018 - Dhruv Bhai captivated the audience by speaking about the beauty of the Sanskrut language and how every letter as well as every syllable has multiple meanings making it the most rich and profound language in the world. 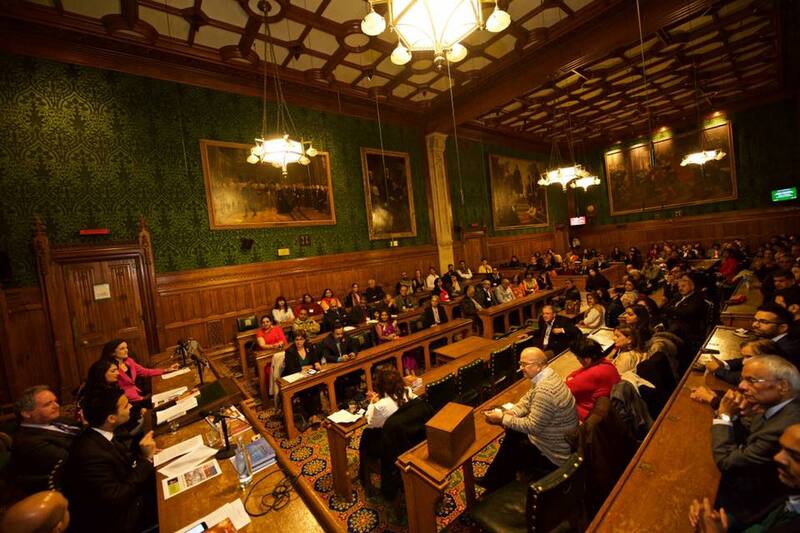 30 October 2018 - Lakshmi Ben then gave a heart-warming speech about the vow of celibacy taken by Bhisma in the Mahabharata and how the divine acts we perform in our lives become our children. 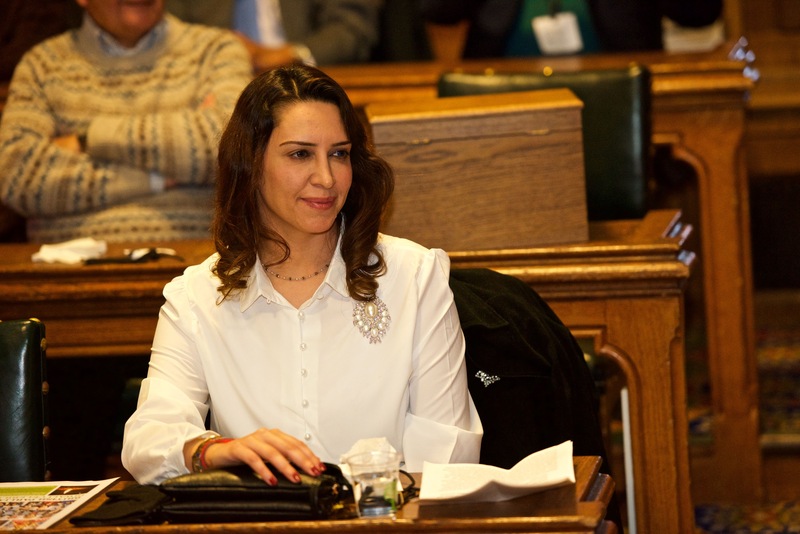 She explained in detail what it means to perform divine deeds and the role they play in our liberation. 30 October 2018 - Satish Bhai beautifully explained how the Mother Earth symbolises the Goddess Lakshmi using the analogy of the Maa Lakshmi Aarti where it is described that the Sun and the Moon look upon Her. 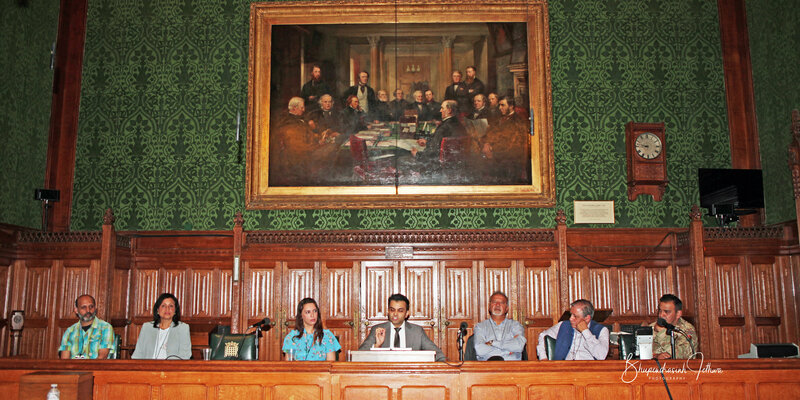 He spoke about how important it is that we, as her descendants, have a mission to preserve and protect the Earth which has nourished and provided for the human race. 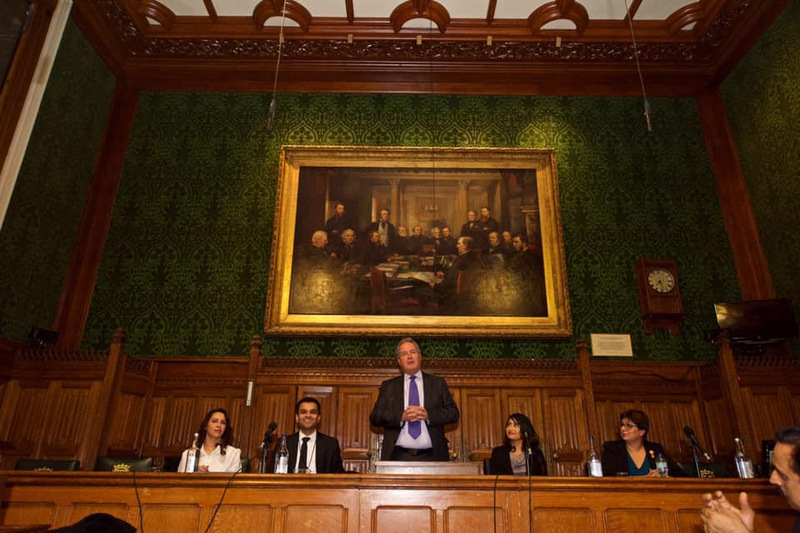 30 October 2018 - Dhruv Bhai closed the hugely successful evening, and the speakers and members of the audience thanked Bob Blackman MP for hosting this historical event and to the Parliamentarians for coming to support the event. 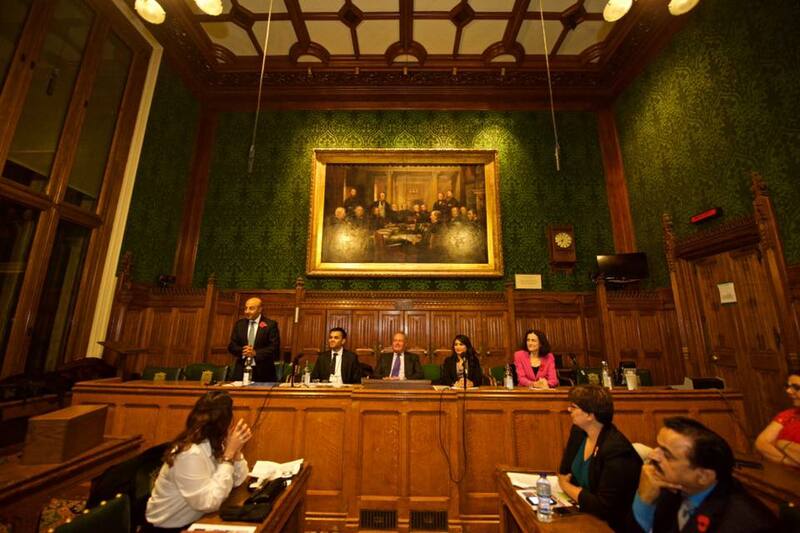 30 October 2018 - These wonderful Parliamentarians have all now become part of our family at SHYAM! 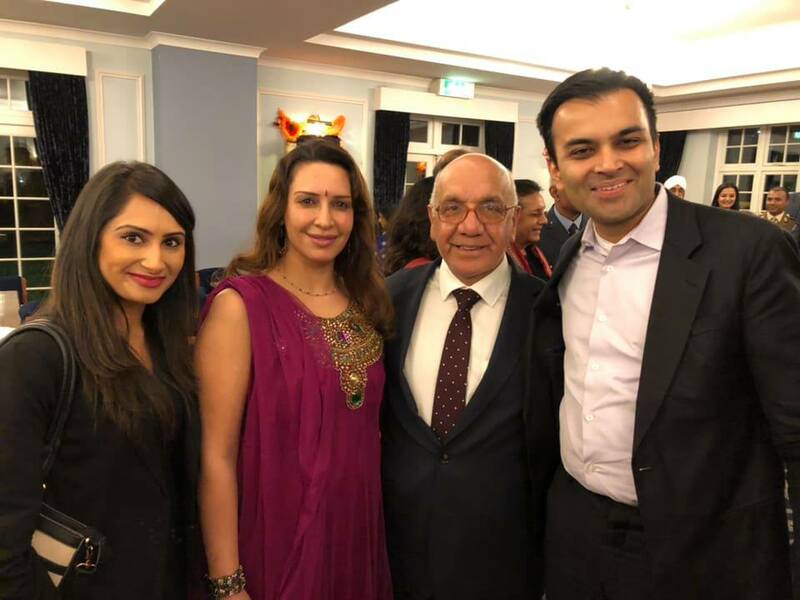 30 October 2018 - The beautiful photography of the event was taken by the talented and gifted Sunil Pisavadia, and Dhruv Bhai presented Sunil Pisavadia with a copy of Pujyashree Guruji’s Hanuman Chalisa: An Ocean of Wisdom and Virtues book. 30 October 2018 - This event marked the momentous and historic occasion successful completion of the Shree Suktam Gnyan Maha Yagna based on the teachings of Pujyashree Bhupendrabhai Pandya after three years. 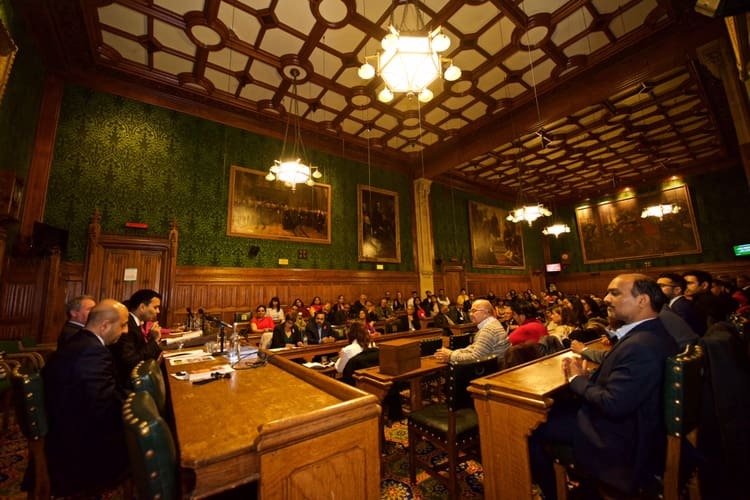 30 October 2018 - With heartfelt devotion to Maa Lakshmi, between 2016 to 2018 we spoke at the British Parliament on the commentary of all 37 mantras of the Shree Suktam in three talks of over 6 hours between them. 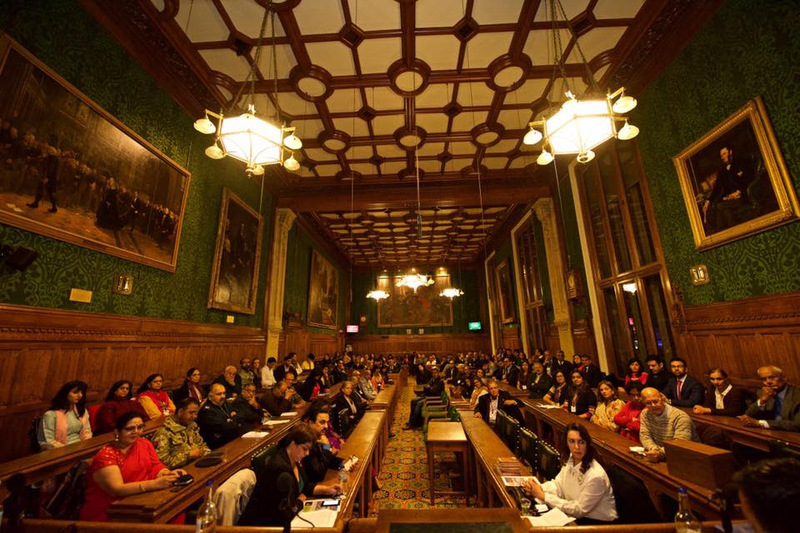 30 October 2018 - This is the first time such a Maha Gnyan Yagna has been completed at the British Parliament and the beautiful mantras of the Shree Suktam of the Rig Veda have purified and sanctified the atmosphere of the monumental chambers of the House of Commons. 30 October 2018 - We have inspired the younger generations that dedication, sincerity and unswerving determination to the cause of Dharma can break all obstacles. 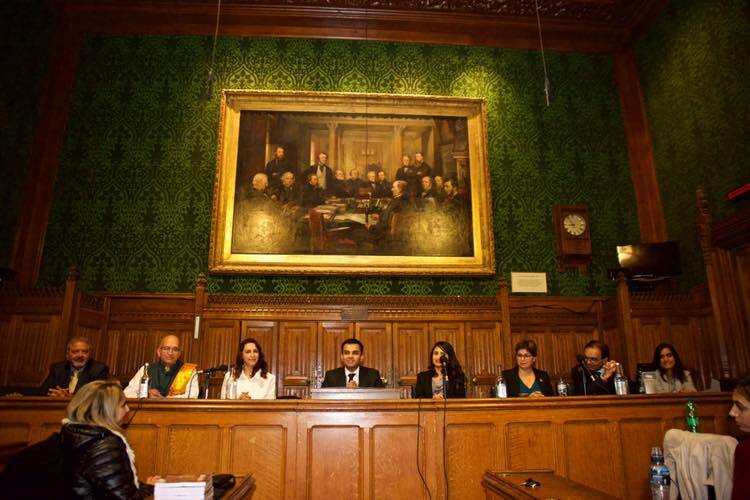 30 October 2018 - Never in the past was there a need of these divine teachings as it is today and, through this great victory, we have lit the lamps of Truth, love and compassion for the generations to come. 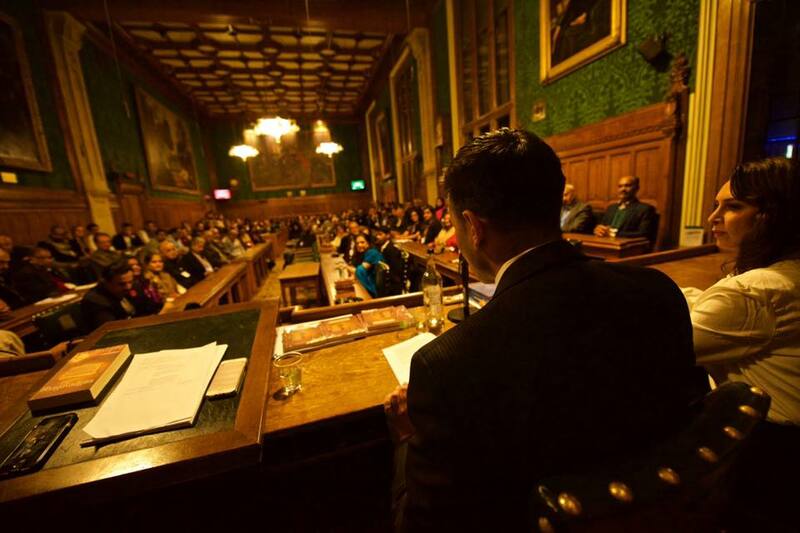 30 October 2018 - When the mantras of the Rig Veda were realised, our Rishis knew that their message was the eternal elixir for the human race and that it would apply at all times in the history of mankind, a message that would bring victory, fortune, welfare and morality to all those who heard it. 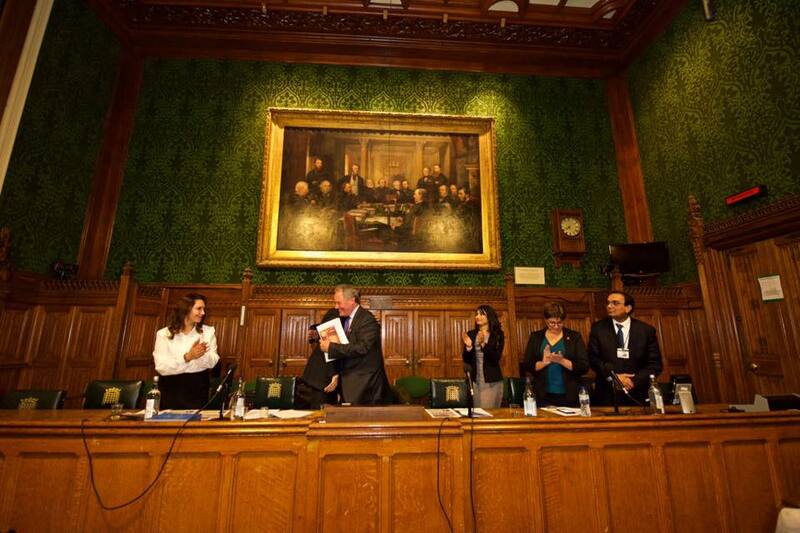 Thousands of years later we have continued this great, noble and proud Rishi tradition in the British Parliament. 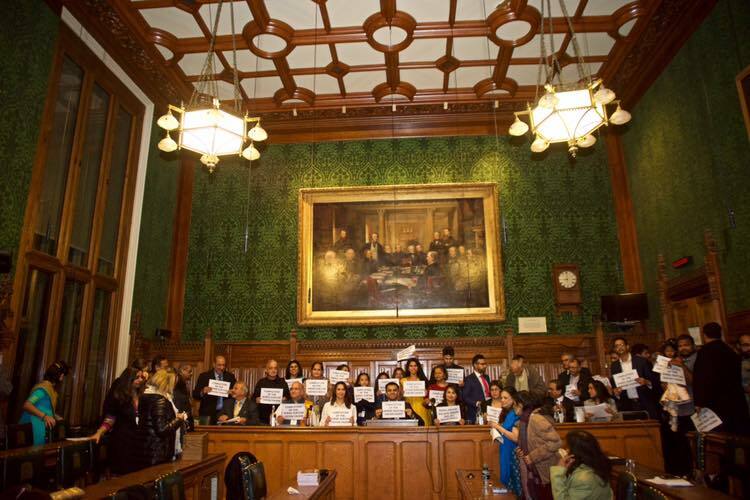 30 October 2018 - We have created something really special in the House of Commons, which has become a unique achievement for Hinduism. 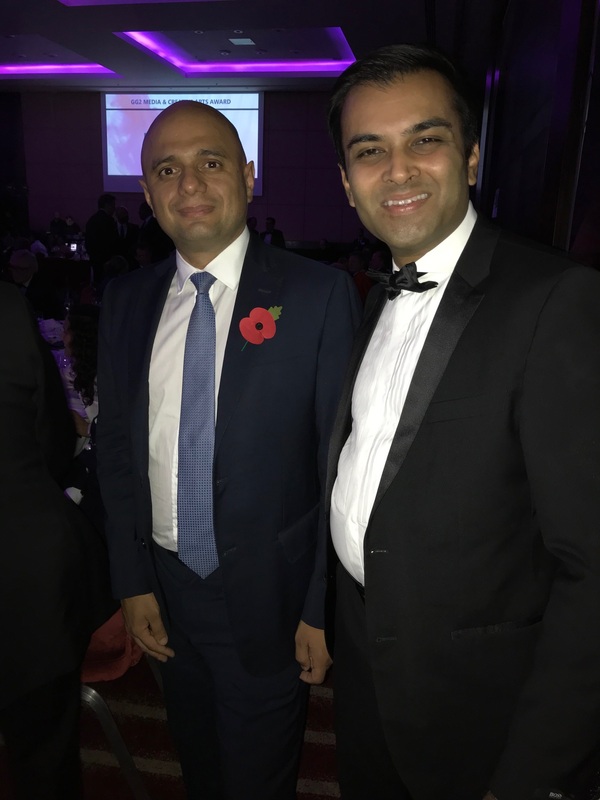 30 October 2018 - The event had over 350 registered attendees within only two days of the announcement including renowned politicians, movie stars, media personalities, community leaders and professionals from all over the City, and there was a huge waiting list of 300 within just one week of the announcement, such was the level of enthusiasm generated. 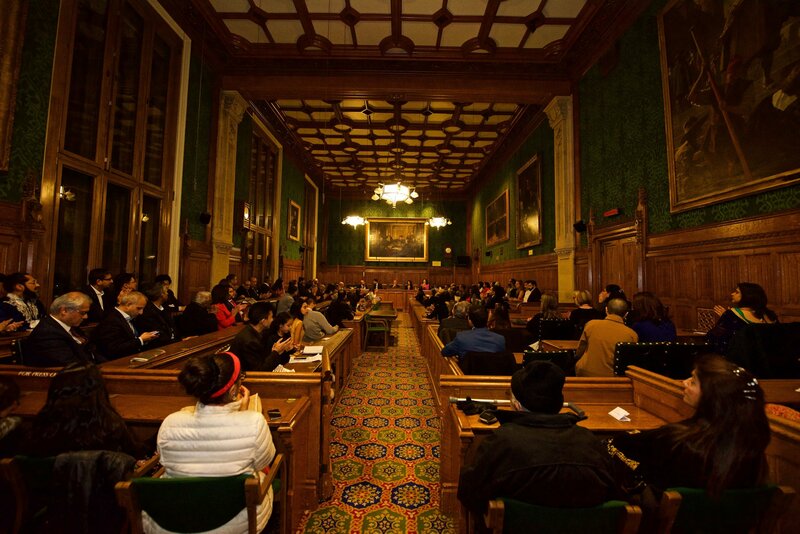 30 October 2018 - We have received a number of e-mails with wonderful feedback of the event. 30 October 2018 - We have made history yet again by completing Maha Gnyan Yagnas in English on the six scriptures of the Bhagavad Gita, Ramayan, Hanuman Chalisa, the Shrimad Bhagavad, Devi Mahatmaya and Shree Suktam at over 315 talks in the City and spreading them on social media to over 340,000 fans in 161 countries around the world. 30 October 2018 - We have now covered talks on all the main Hindu Goddess and Gods including Ganesh, Hanuman, Ram, Shiva, Krushna, Durga, Maha Kali, Mahi Lakshmi and Maha Saraswati at ten Diwali celebrations over a period of seven years. 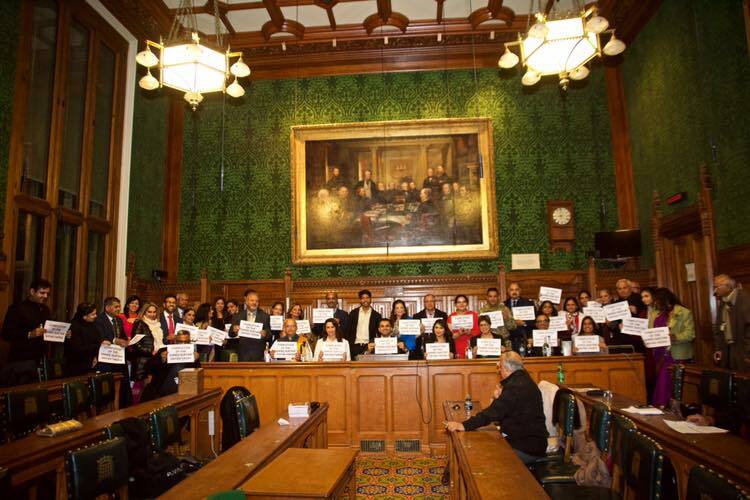 30 October 2018 - Thank you to all our audience members for consistently coming to support our cause in large numbers. 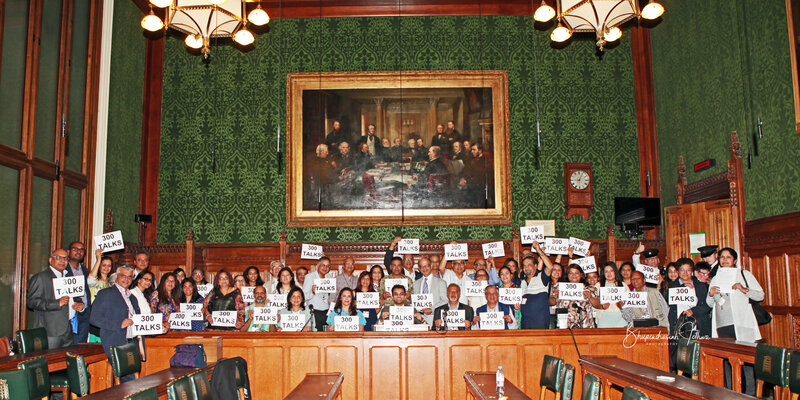 You will all have a special place in our hearts! 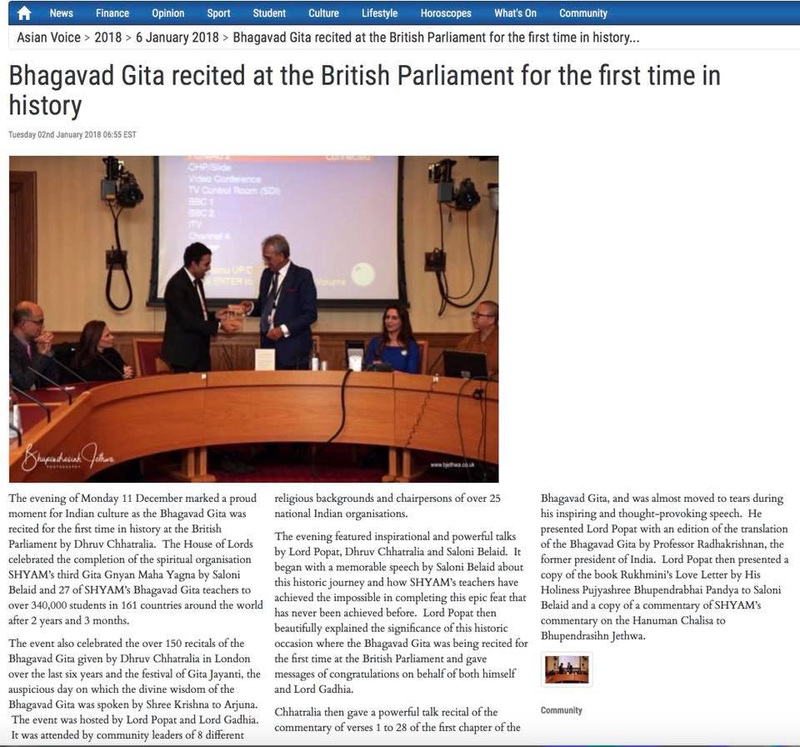 8 November 2018 - We celebrated the seventh anniversary of the launch of the historic 260 week Gita Gnyan Yagna by Dhruv Bhai on 8 November 2011. 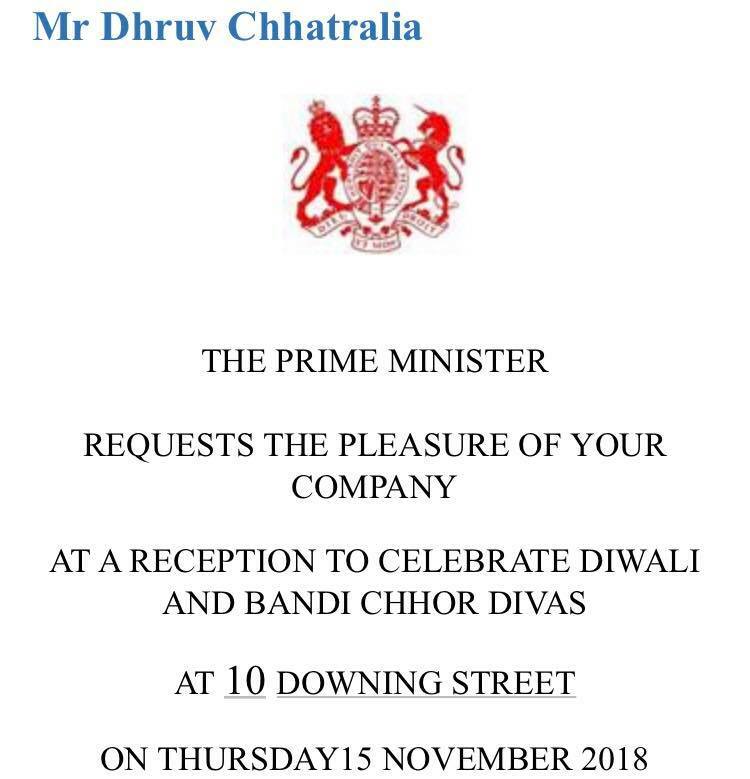 15 November 2018 - Dhruv Bhai invited to 10 Downing Street and the Durbar Court of the Foreign and Commonwealth Office by British Prime Minister Theresa May for a special reception to celebrate Diwali. 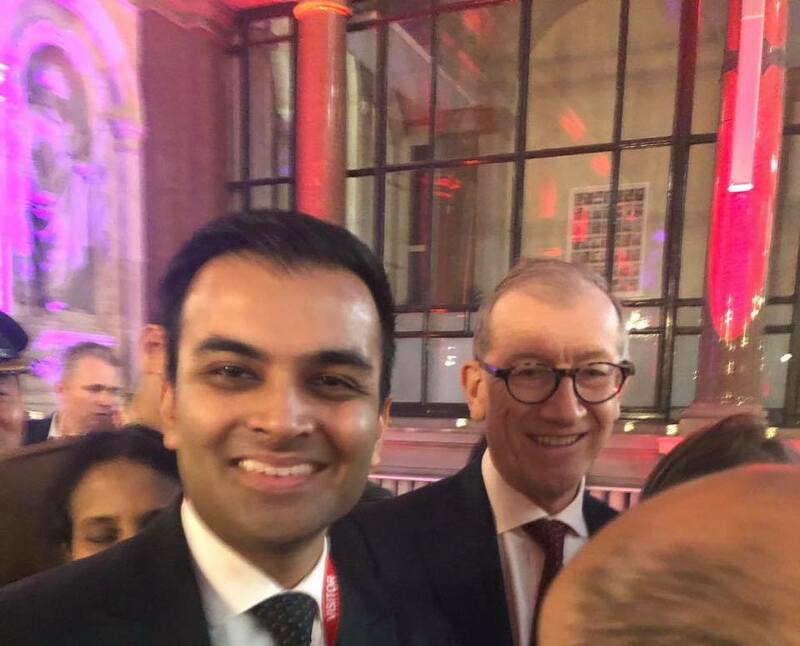 15 November 2018 - Dhruv Bhai met Phillip May (the husband of the UK Prime Minister Theresa May). 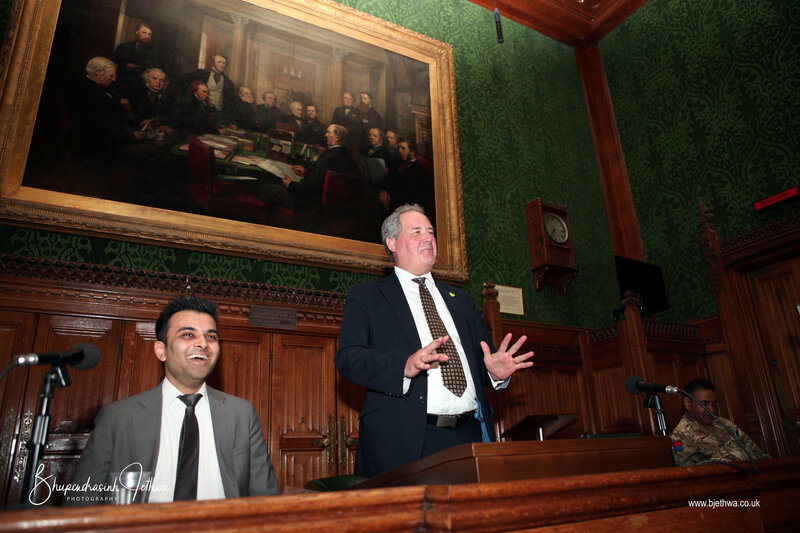 15 November 2018 - Dhruv Bhai met Lord Bourne. 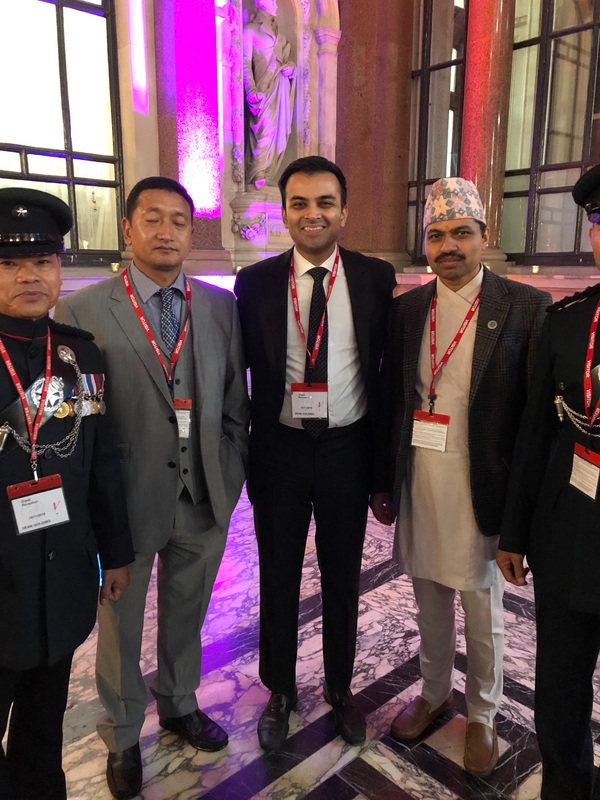 15 November 2018 - Dhruv Bhai met Nepalese Gurkha leaders. 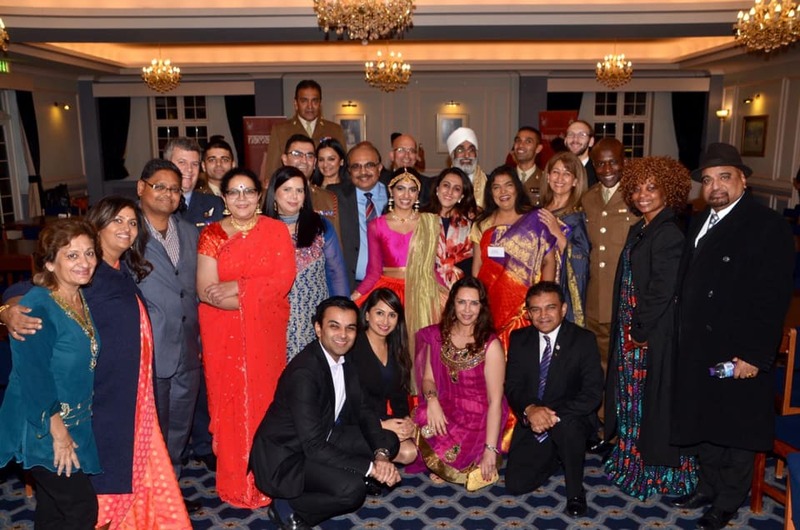 21 November 2018 - Dhruv Bhai, Saloni Ben and Rupal Ben invited to the British Army Diwali celebrations. 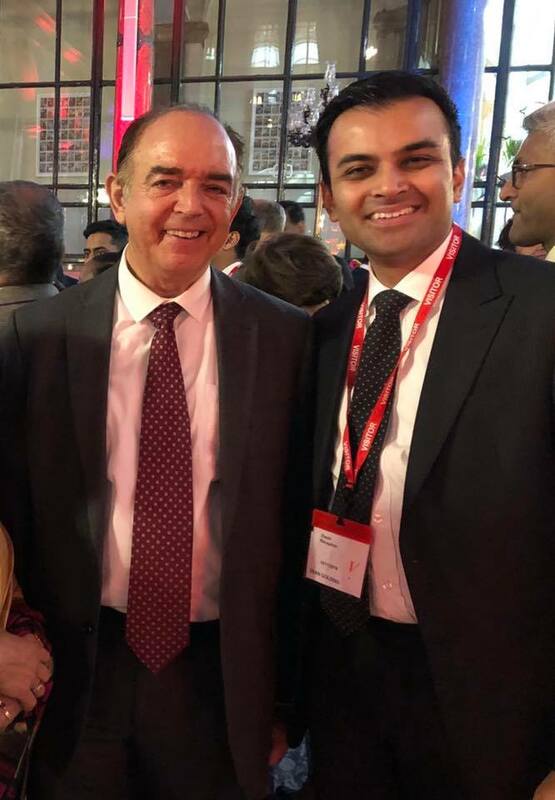 21 November 2018 - Dhruv Bhai, Saloni Ben and Rupal Ben met Virendra Sharma MP. 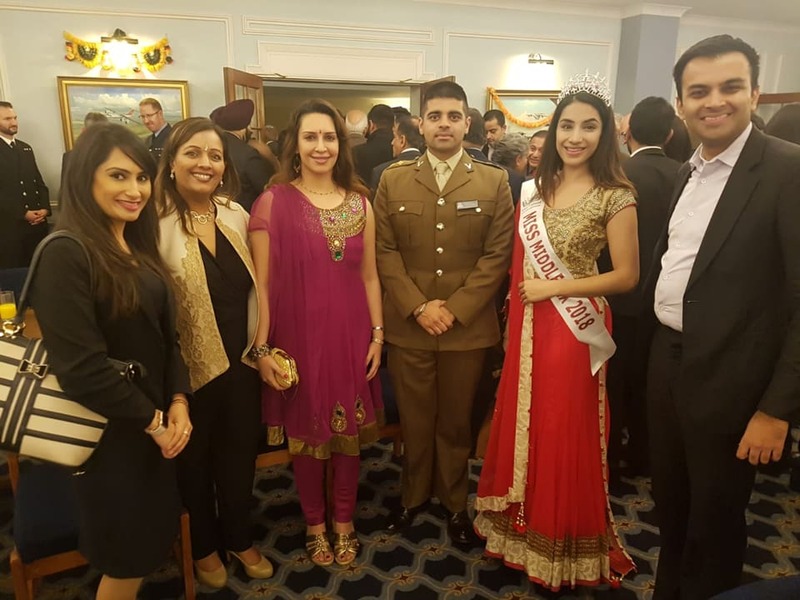 21 November 2018 - Dhruv Bhai, Saloni Ben and Rupal Ben met Miss Middlesex and the organisers of the British Army Diwali celebrations. 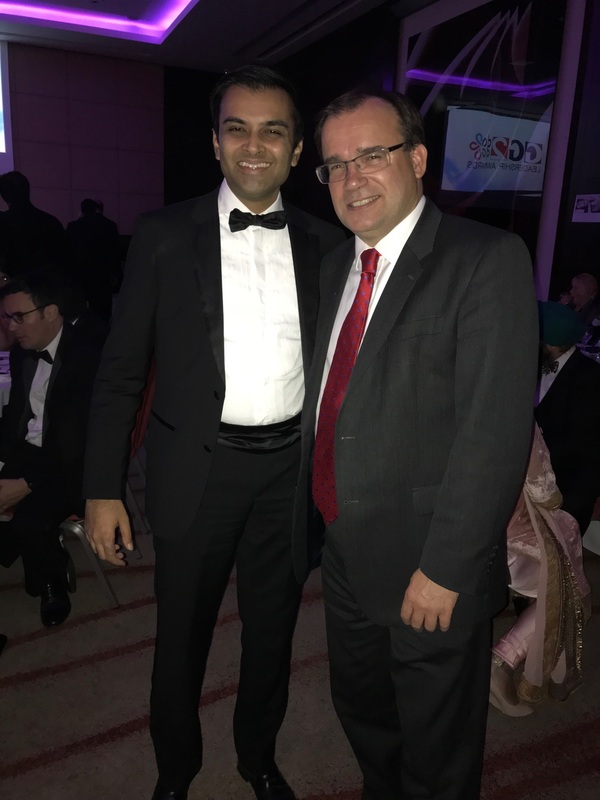 21 November 2018 - Dhruv Bhai met Channi Singh OBE from the music band Alaap. 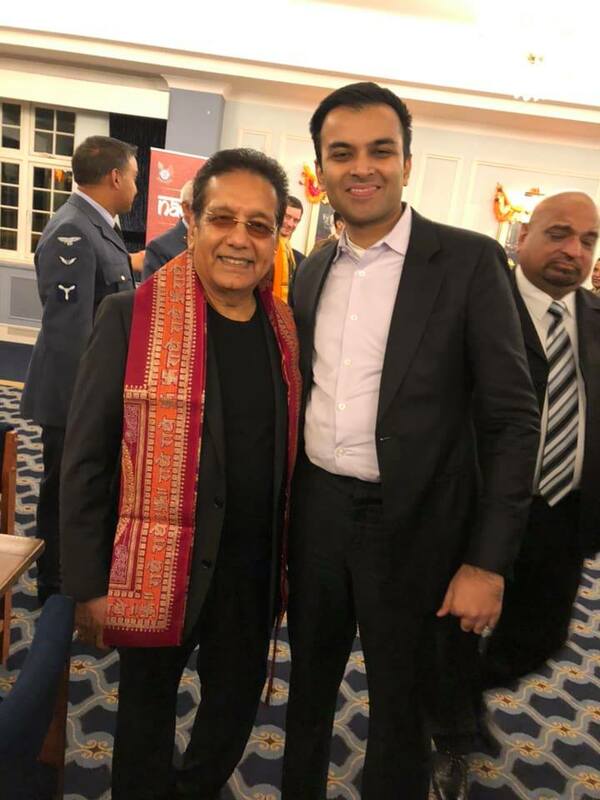 21 November 2018 - Dhruv Bhai met Hindu community leaders from London and Birmingham. 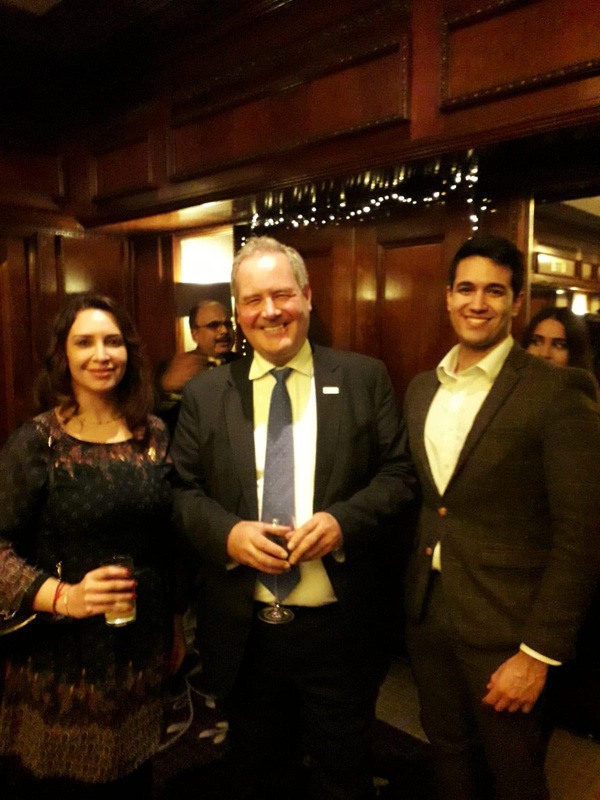 21 November 2018 - Dhruv Bhai, Saloni Ben and Rupal Ben interacted with members of the Royal Air Force, Royal Navy and British Army. 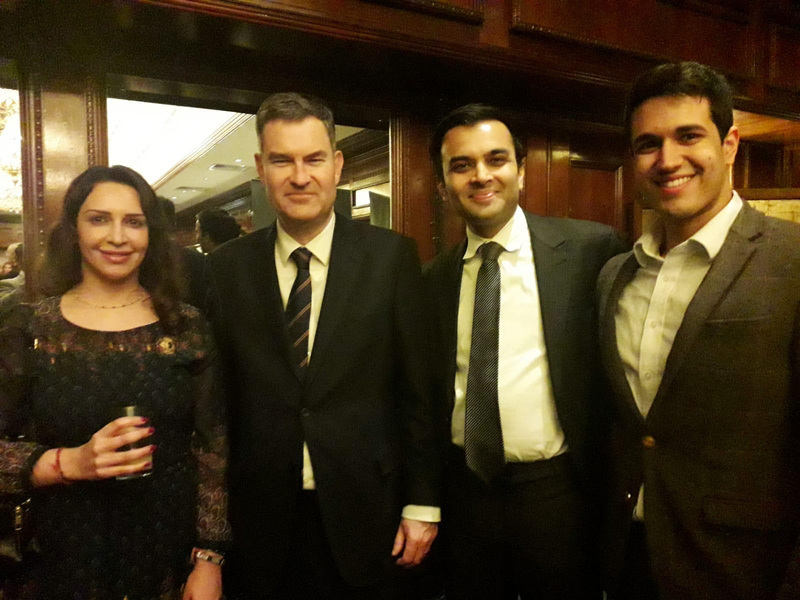 26 November 2018 - Dhruv Bhai, Saloni Ben and Arjun Bhai met Lord Chancellor and UK Secretary for State of Justice David Gauke. 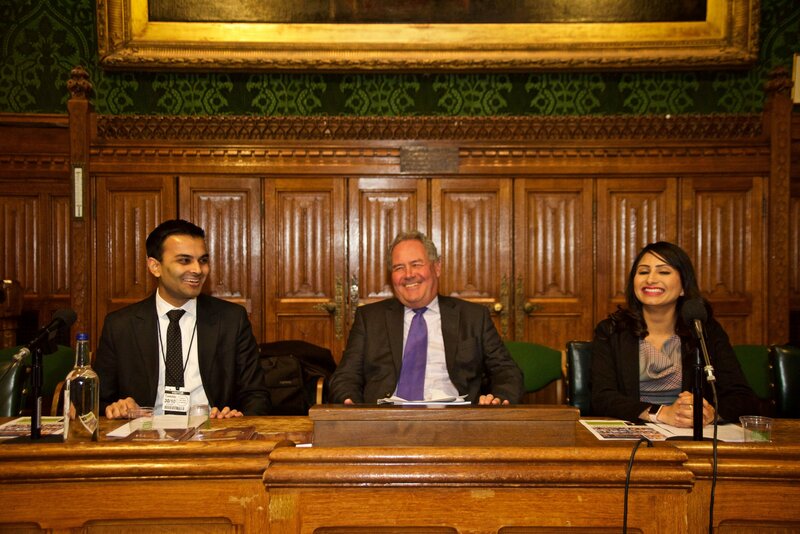 26 November 2018 - Saloni Ben and Arjun Bhai met Bob Blackman MP. 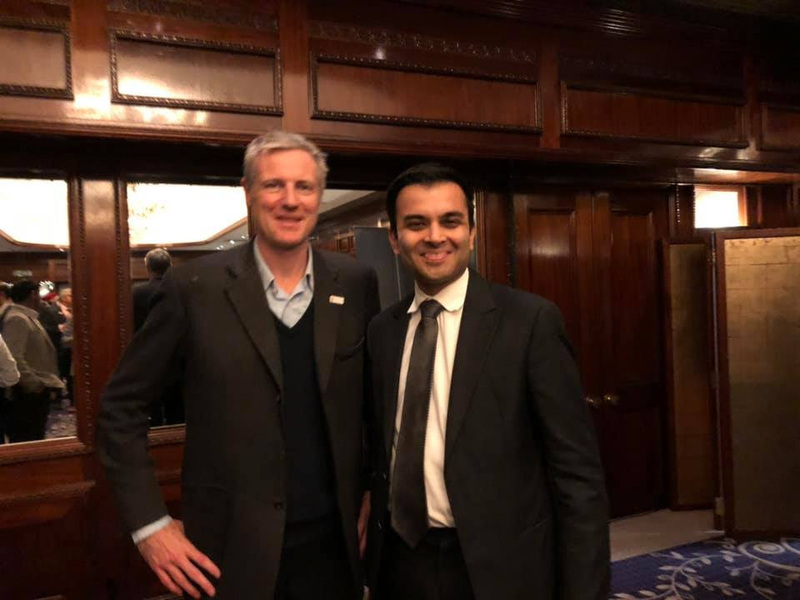 26 November 2018 - Dhruv Bhai met Zac Goldsmith MP. 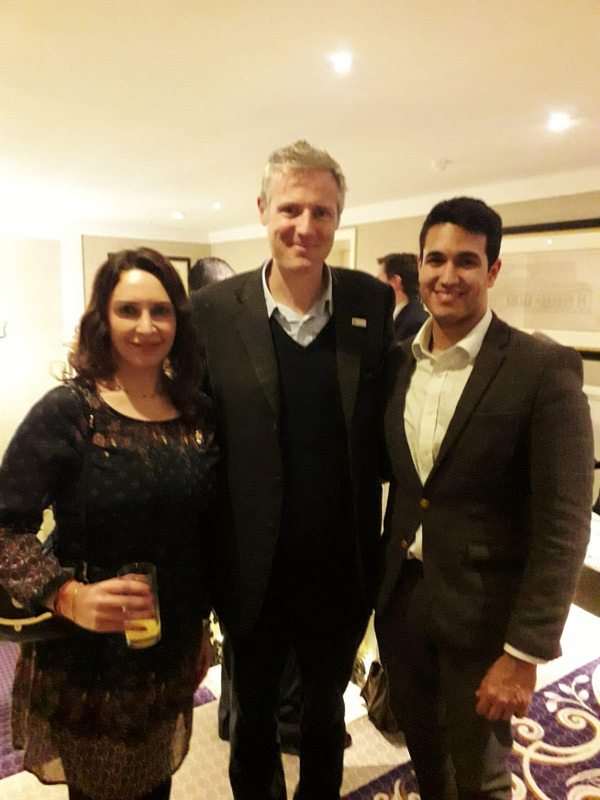 26 November 2018 - Dhruv Bhai, Saloni Ben and Arjun Bhai met Zac Goldsmith MP. 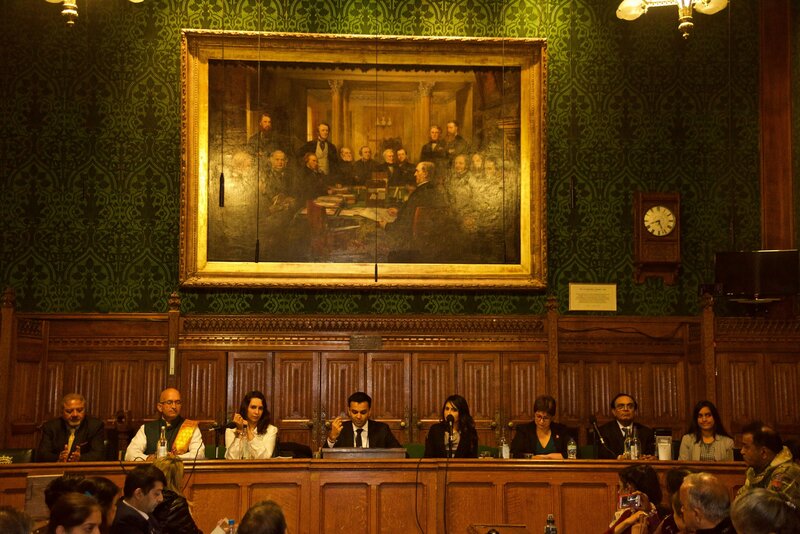 17 December 2018 - Rupal Ben spoke at the British Parliament Gita Jayanti celebrations. 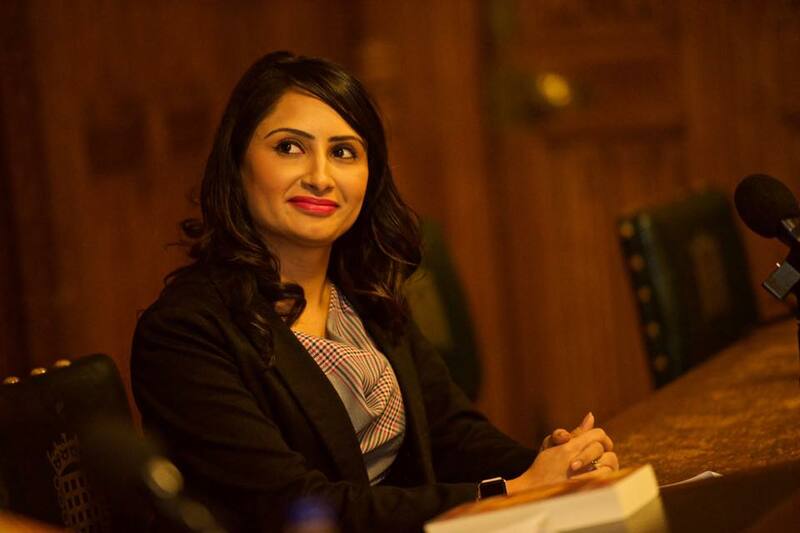 24 December 2018 - Saloni Ben makes her ninth appearance on Zee TV to discuss spirituality and current world affairs.